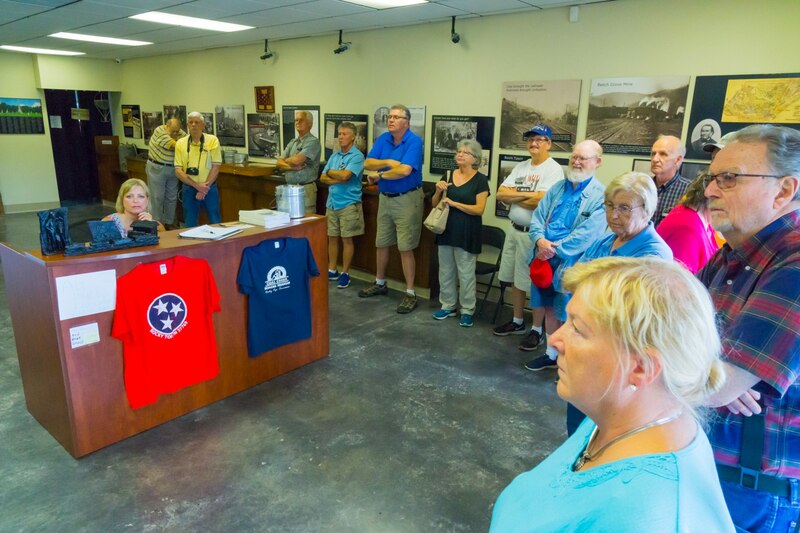 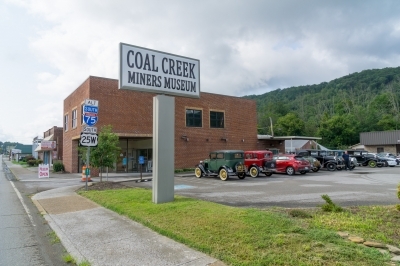 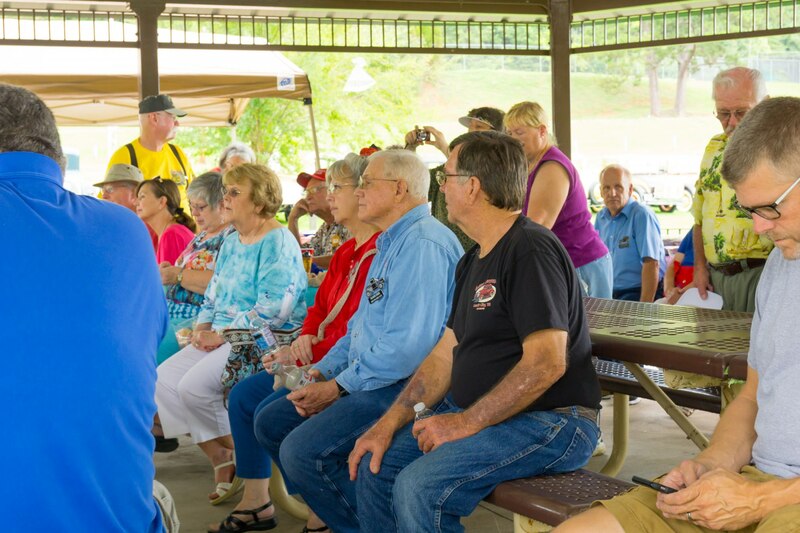 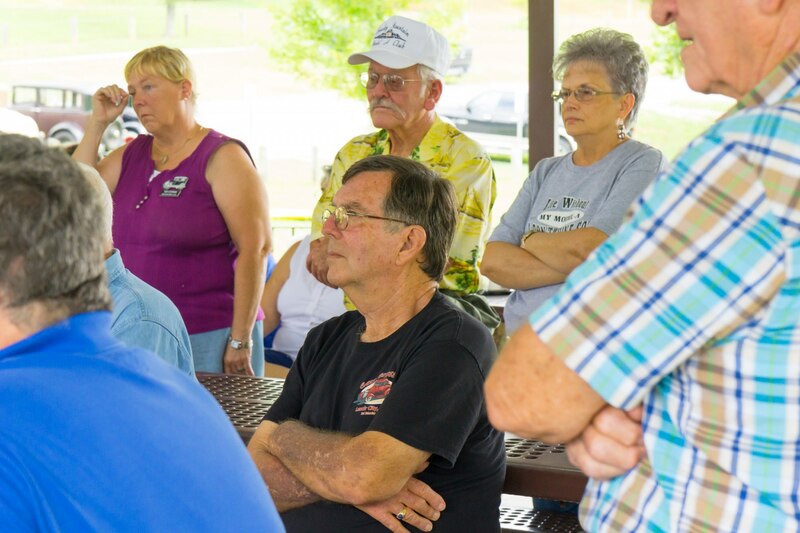 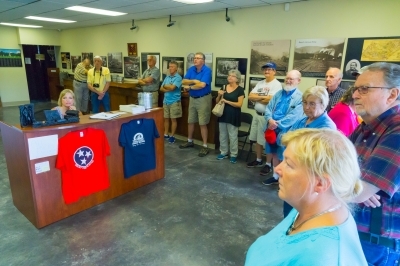 In August the club enjoyed an outing to the Coal Creek Miners Museum in Rocky Top, TN. 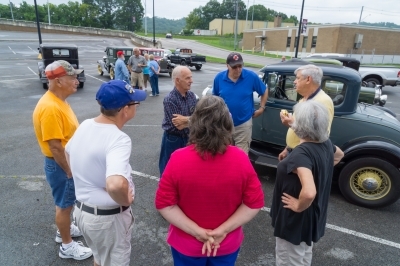 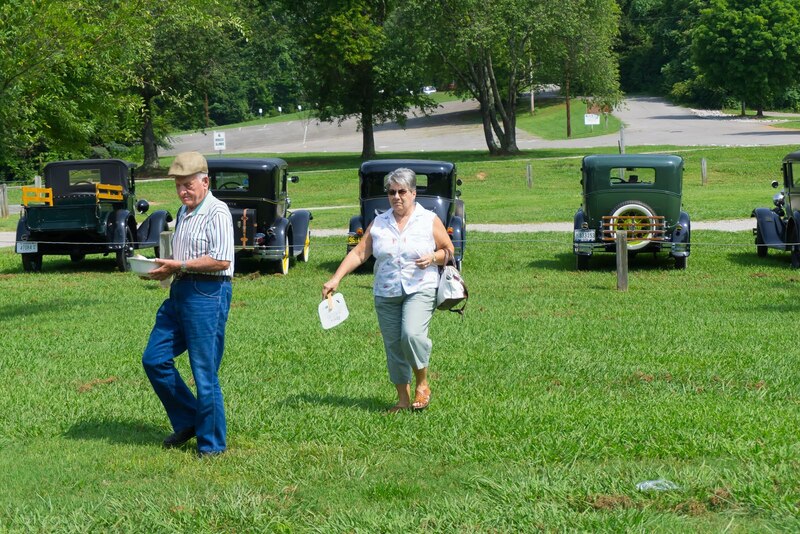 The Smoky Mountain Model A Club paid a visit to the Coal Creek Miners Museum in the town of Rocky Top, TN. 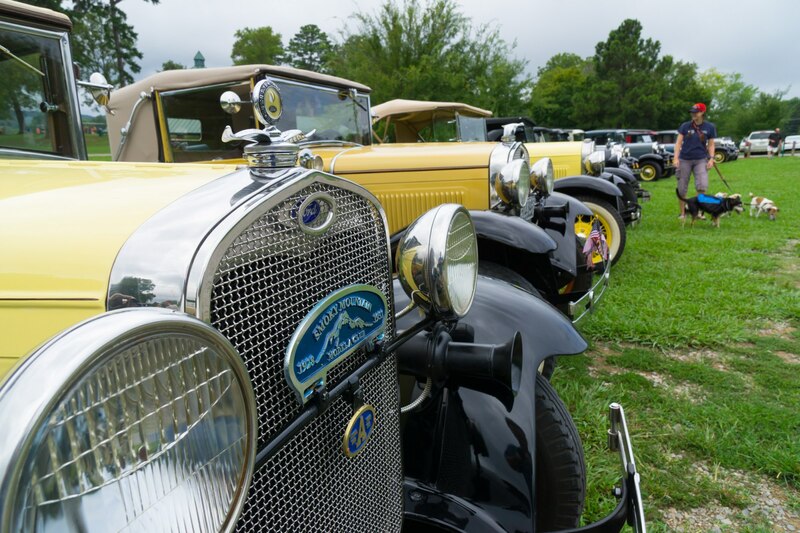 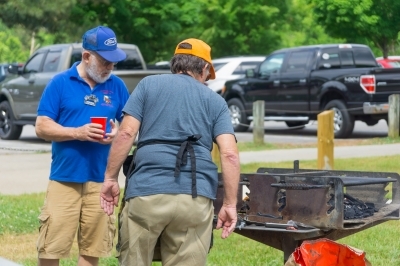 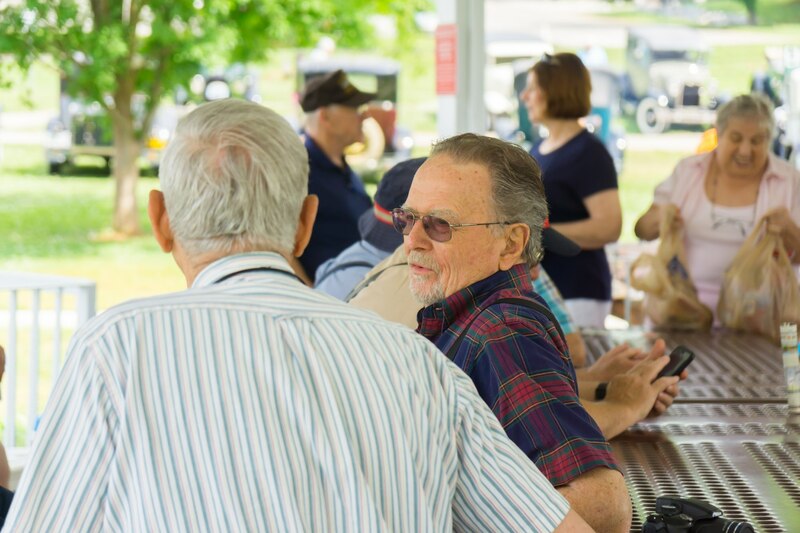 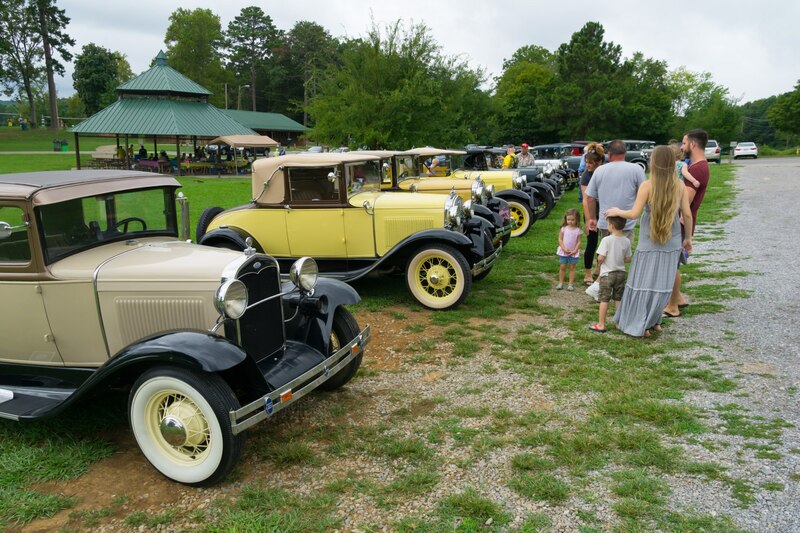 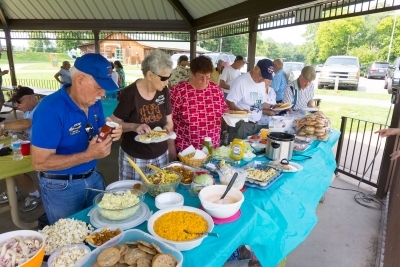 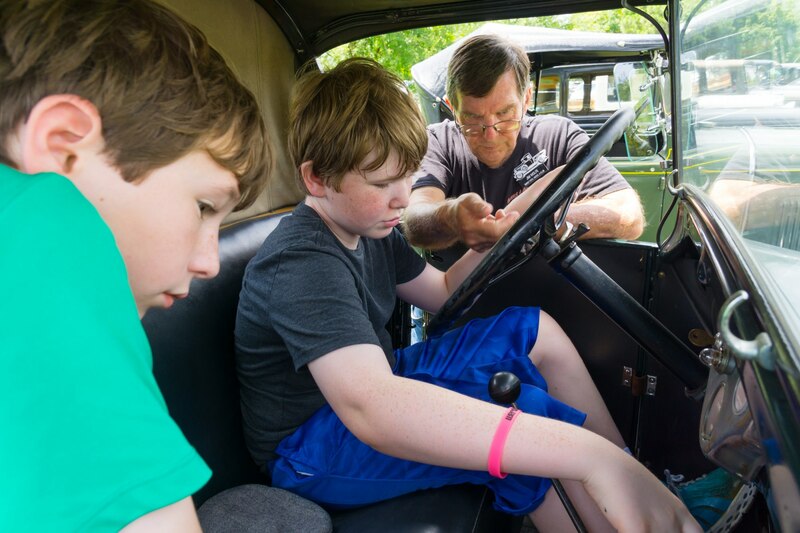 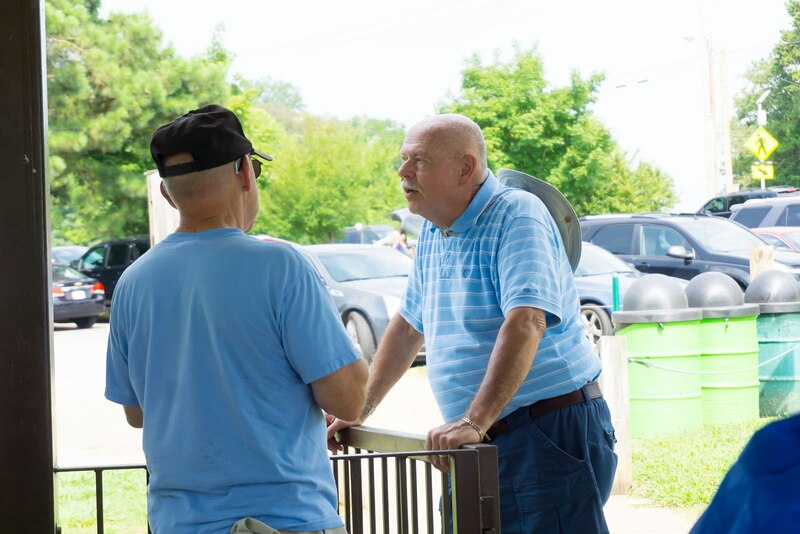 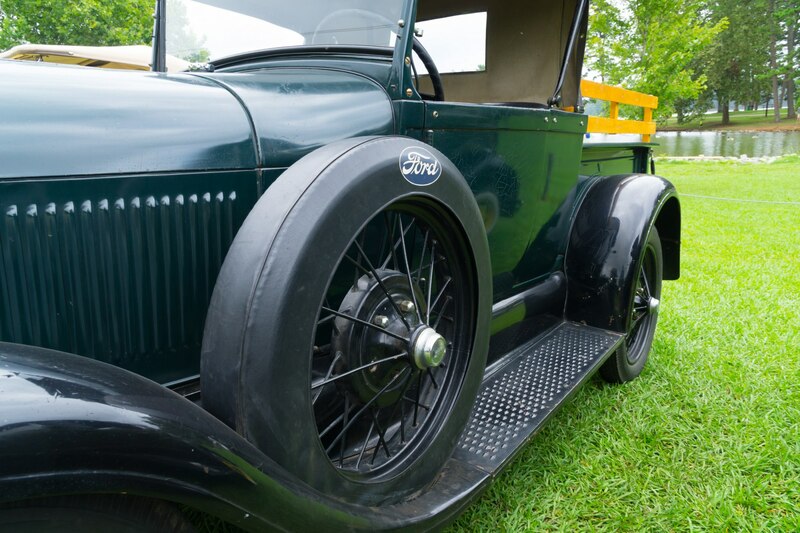 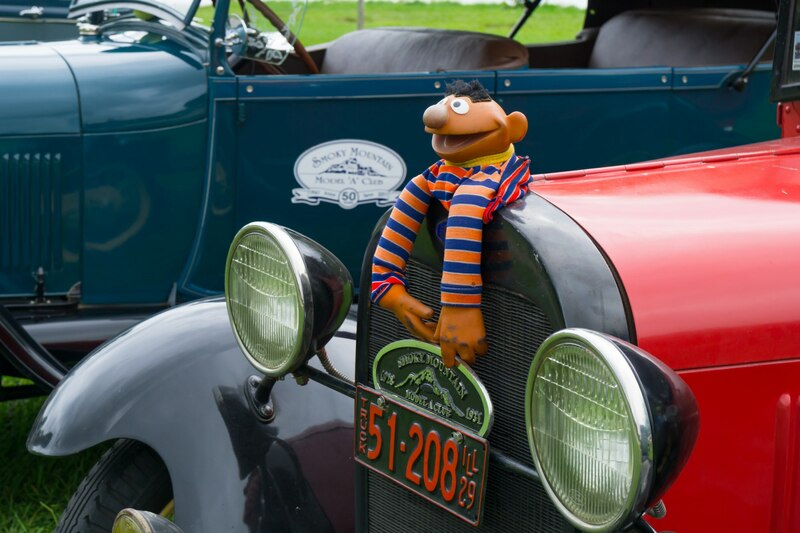 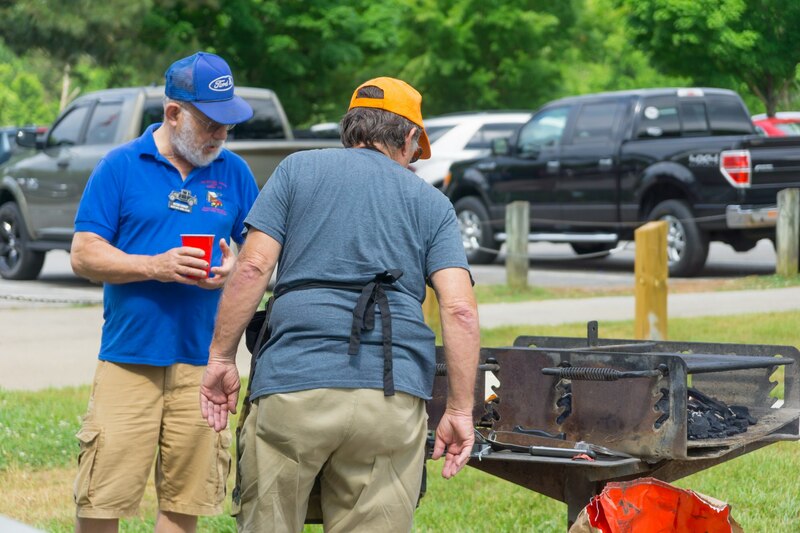 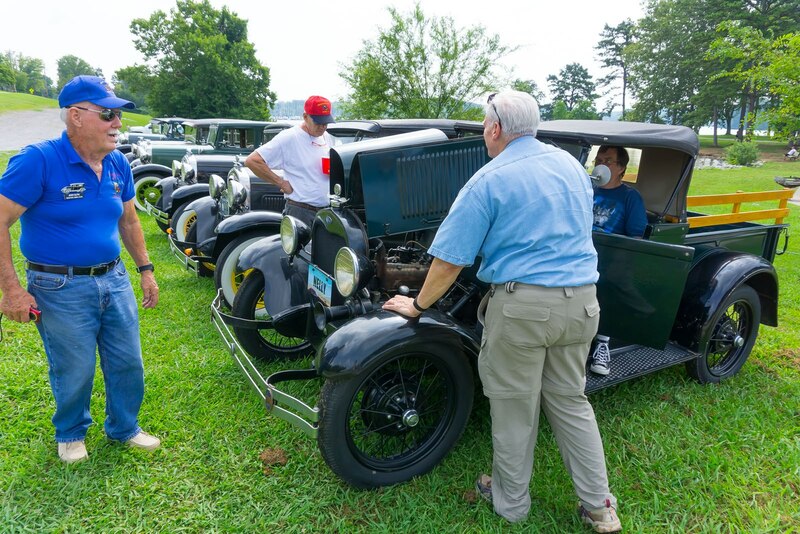 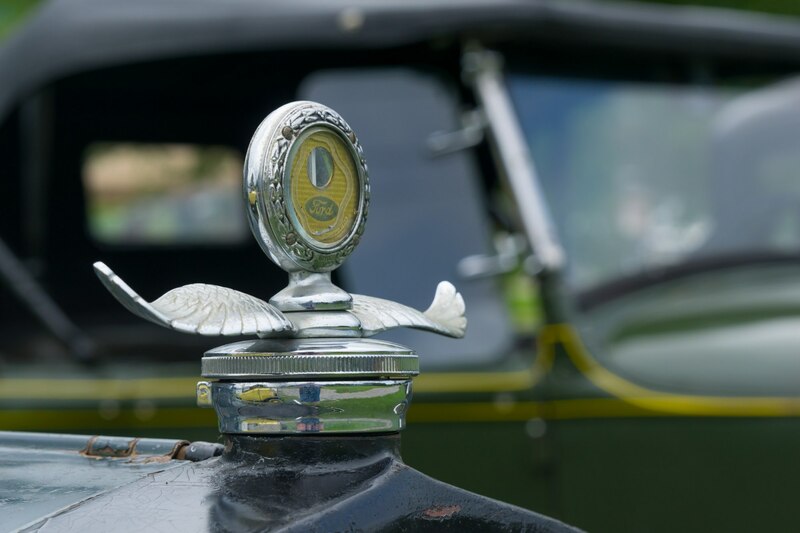 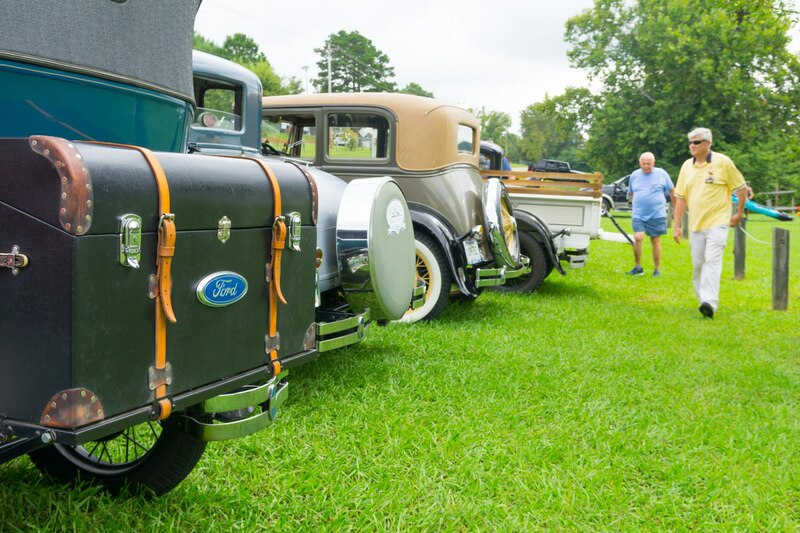 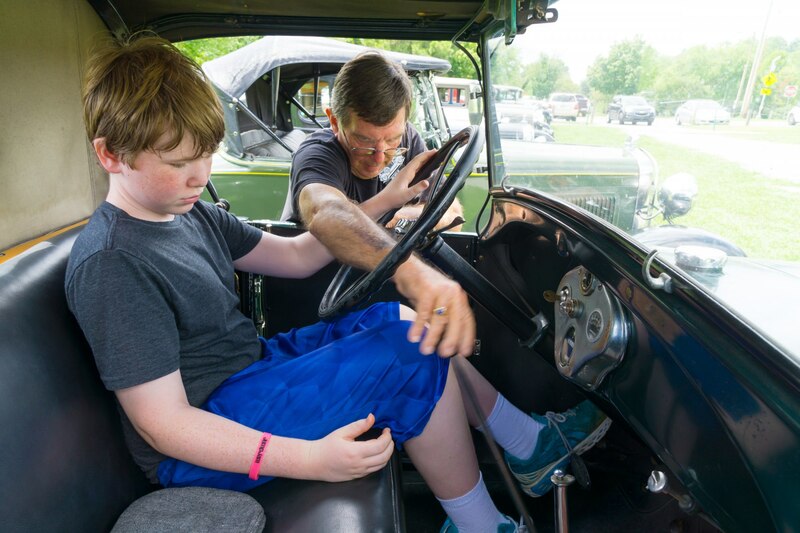 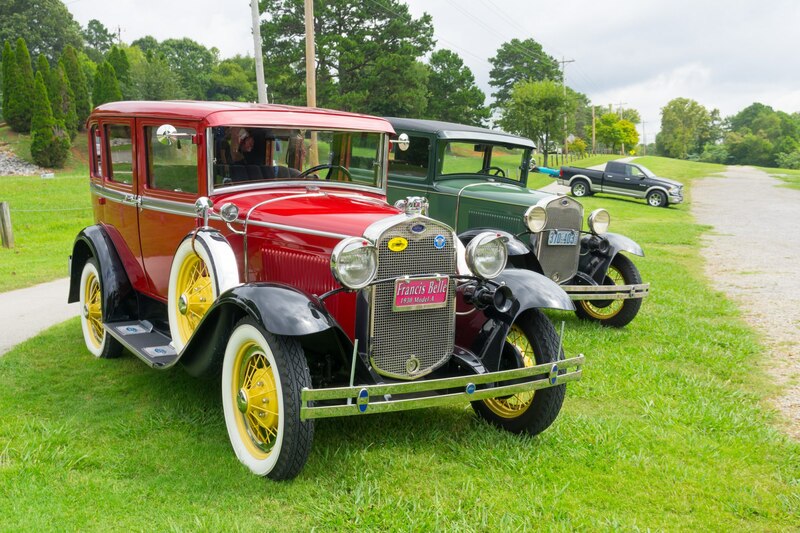 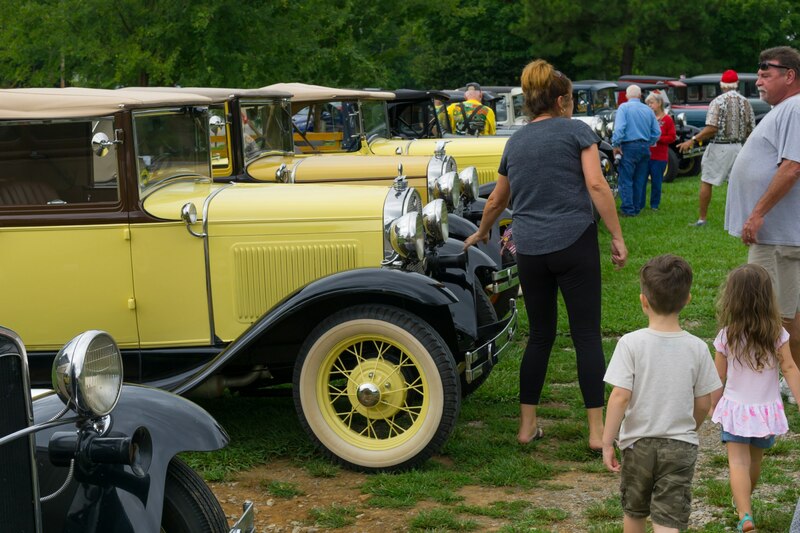 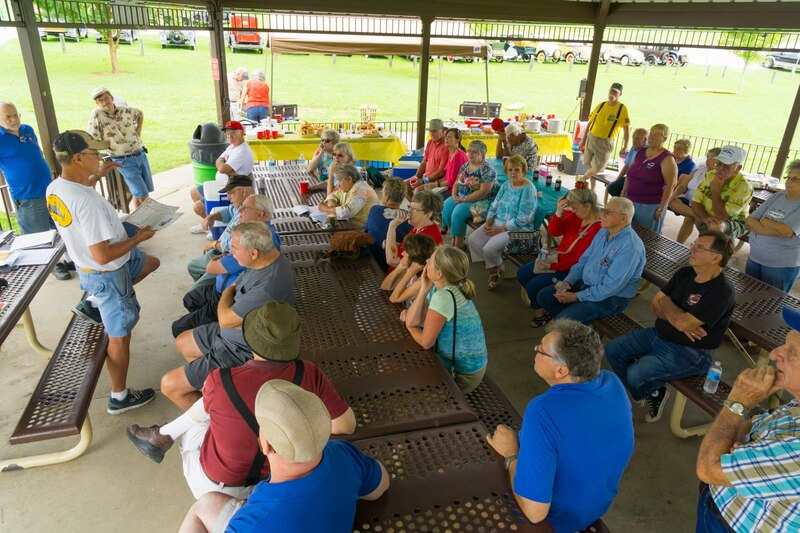 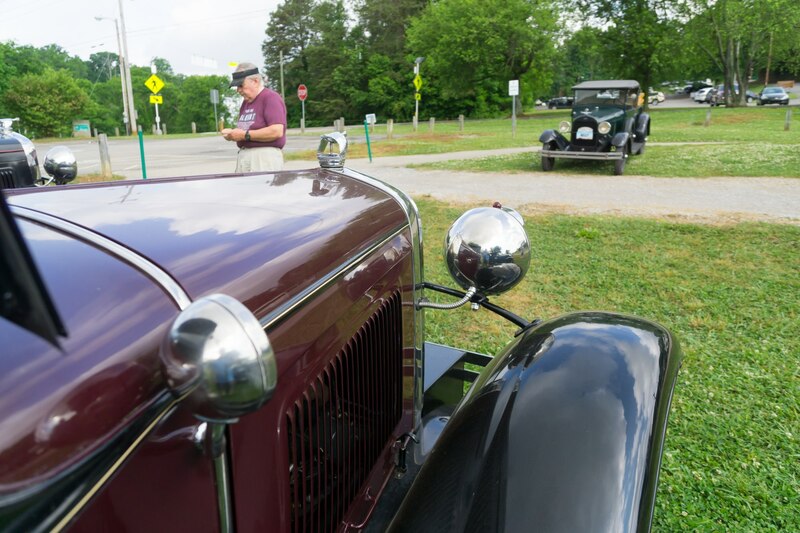 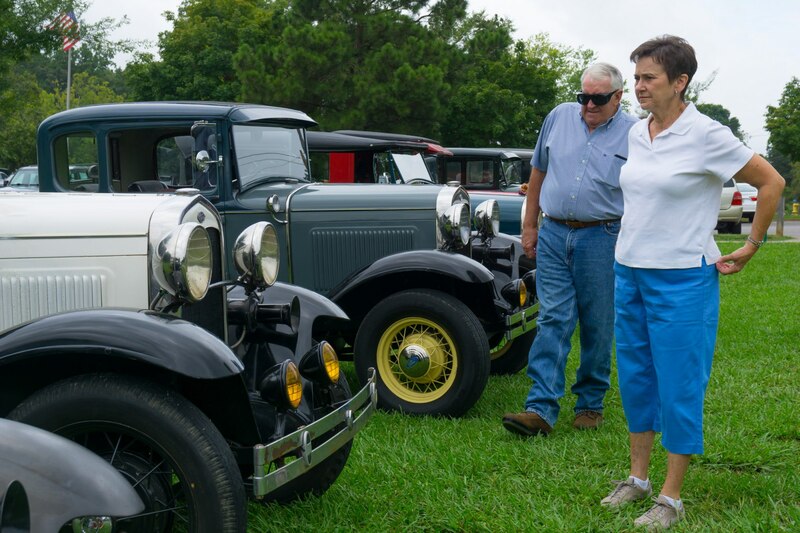 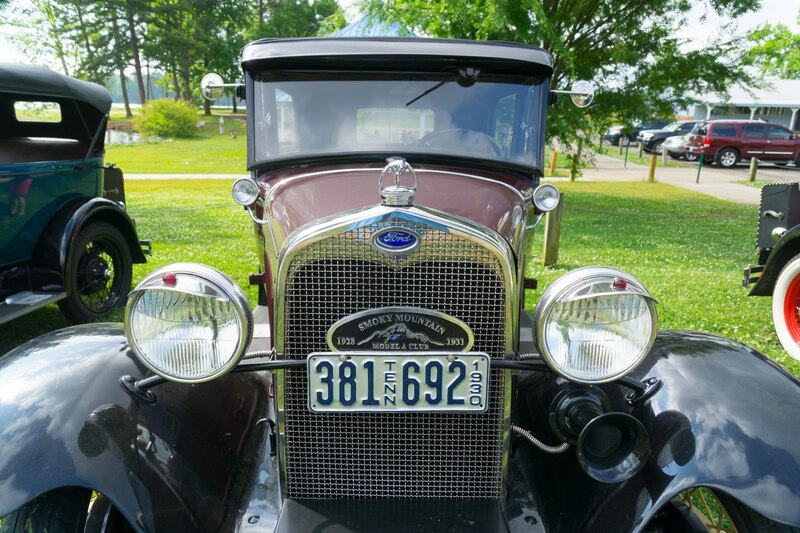 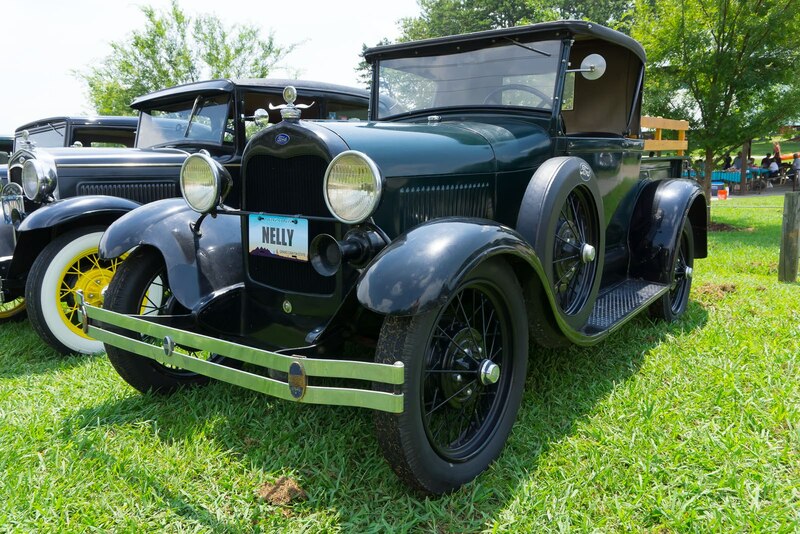 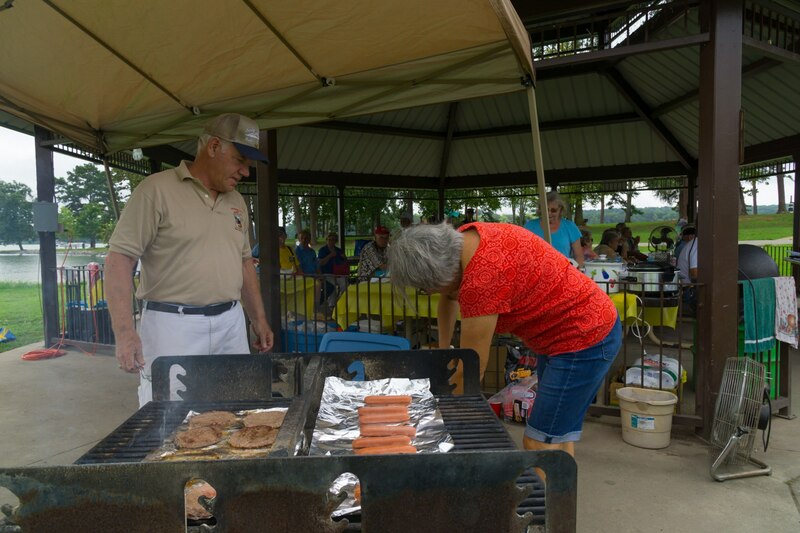 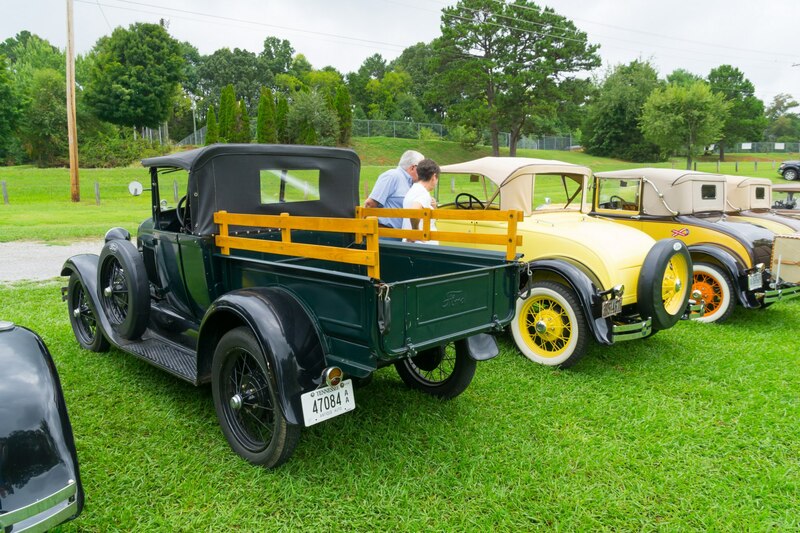 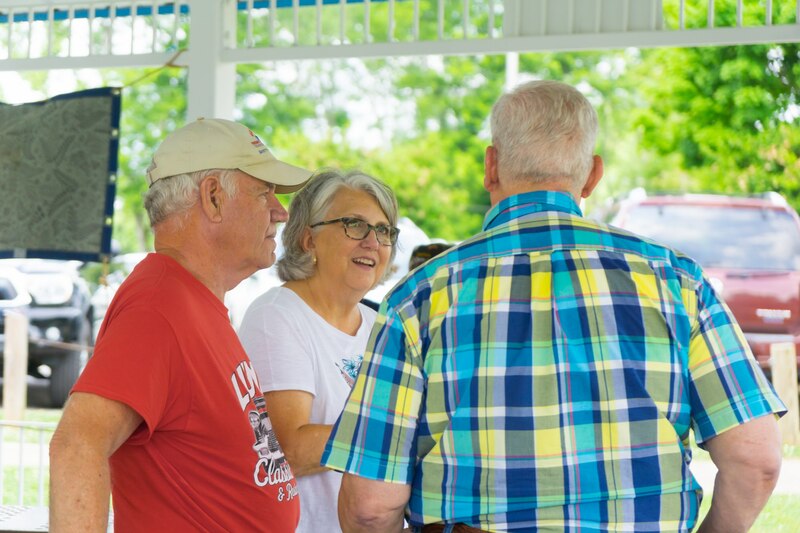 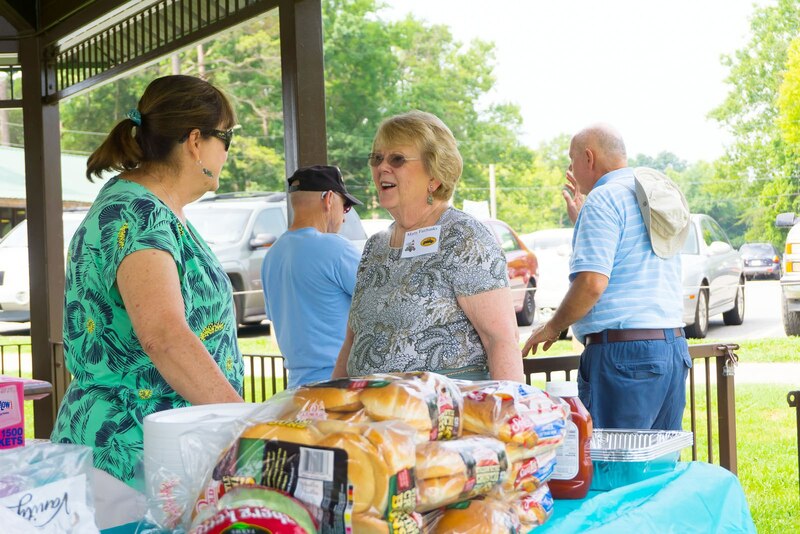 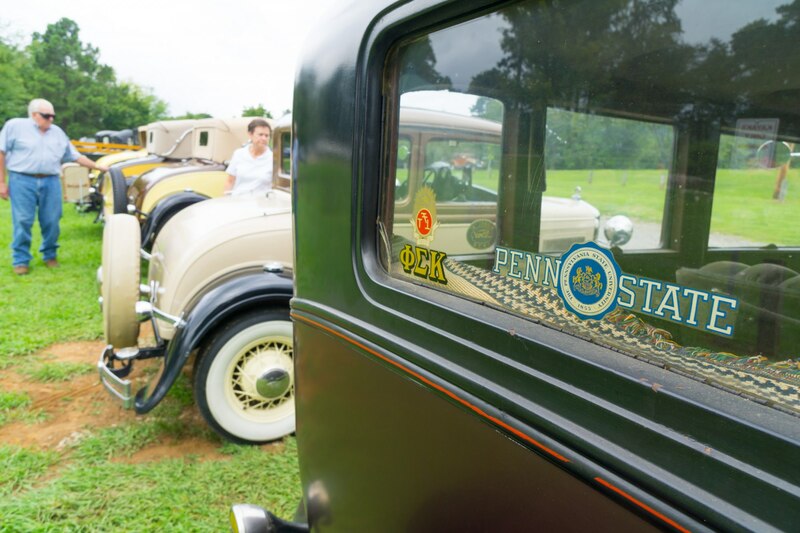 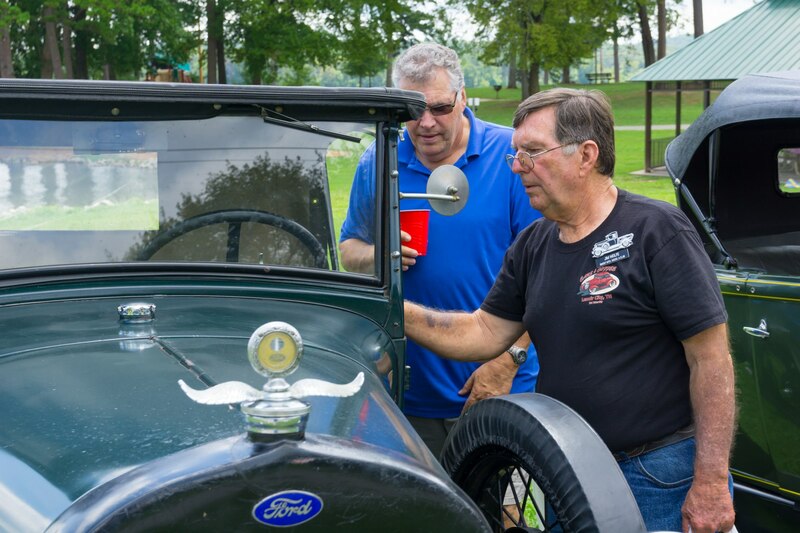 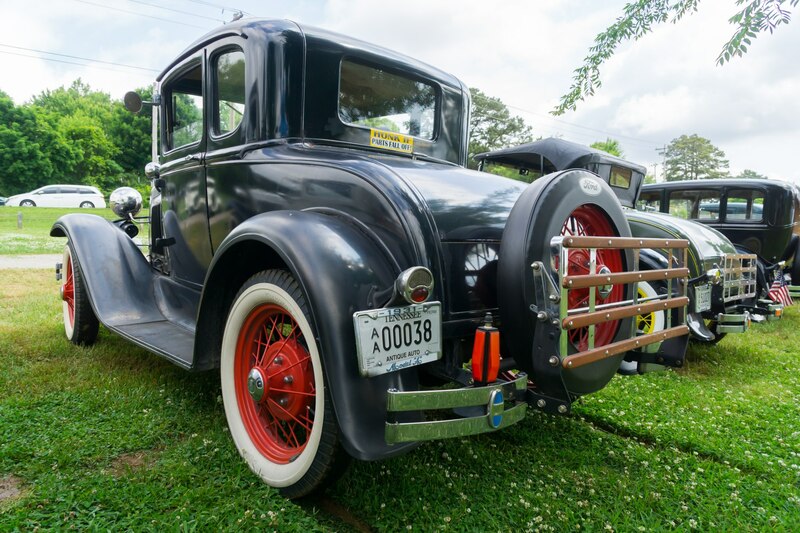 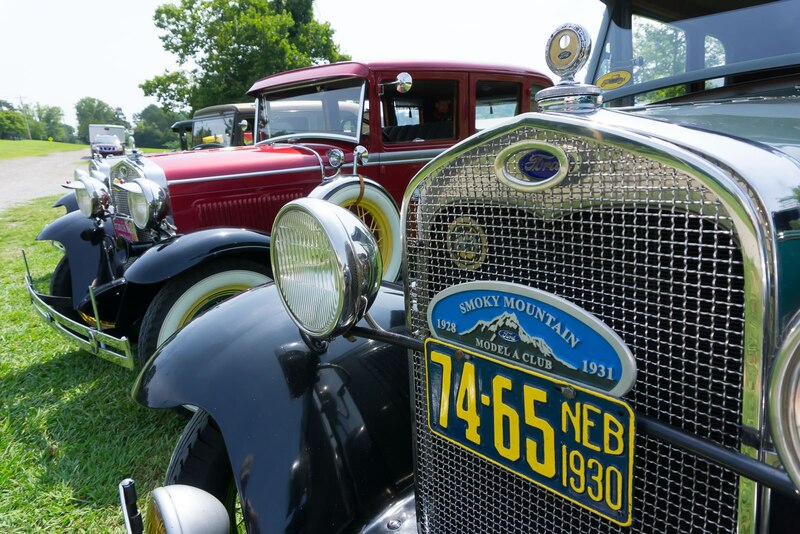 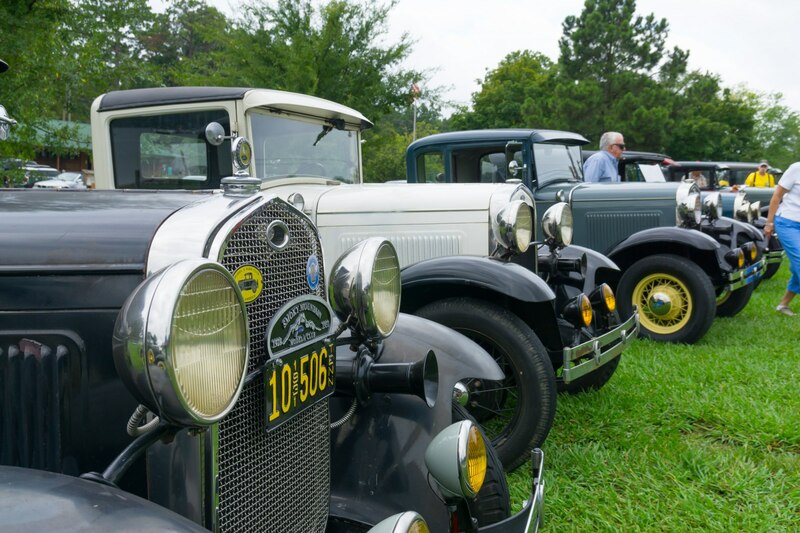 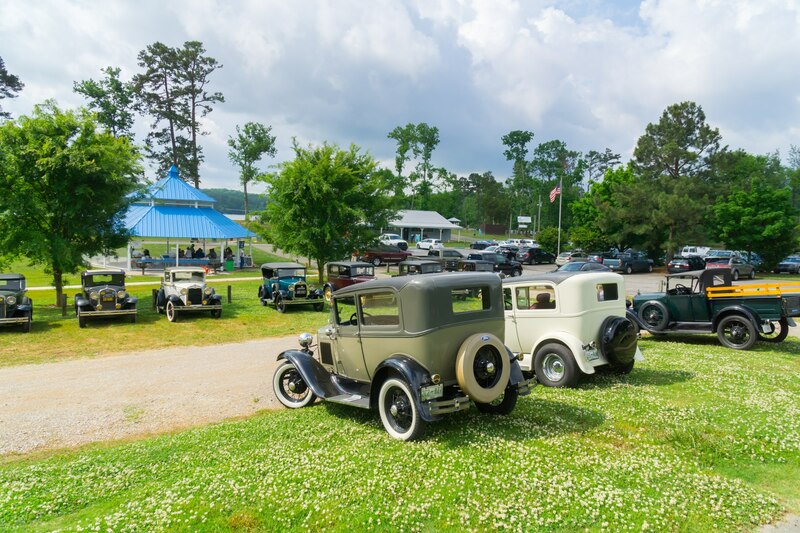 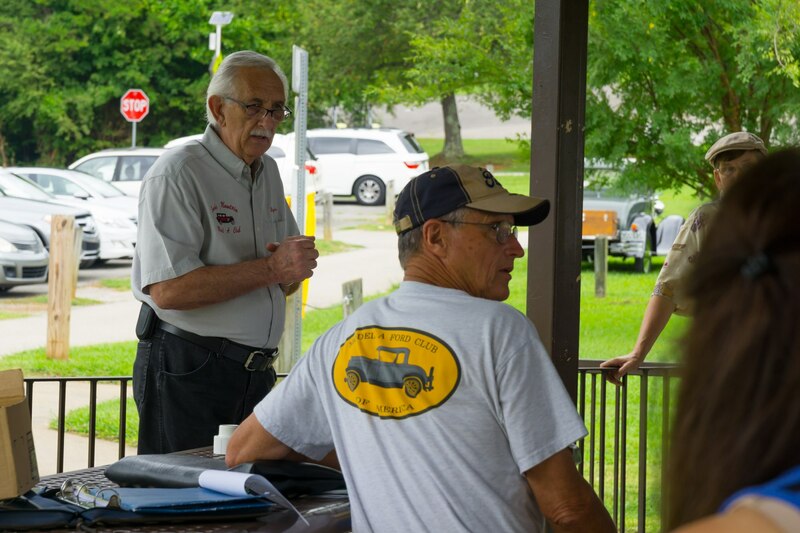 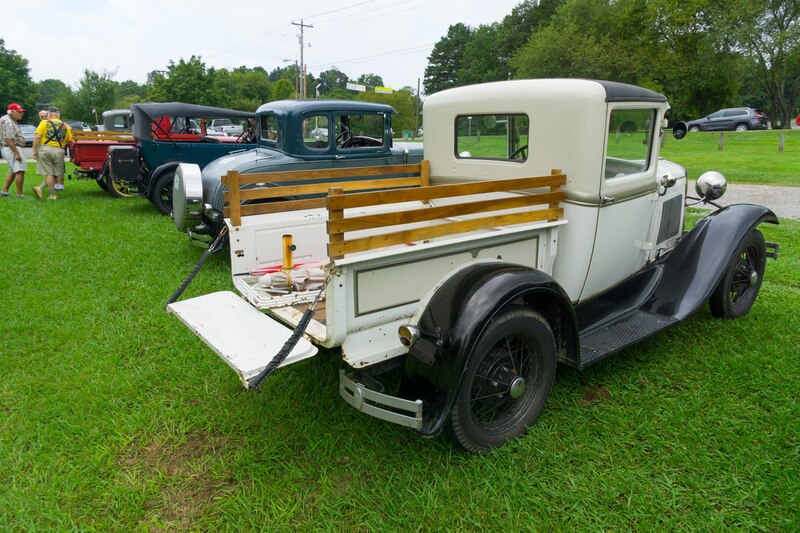 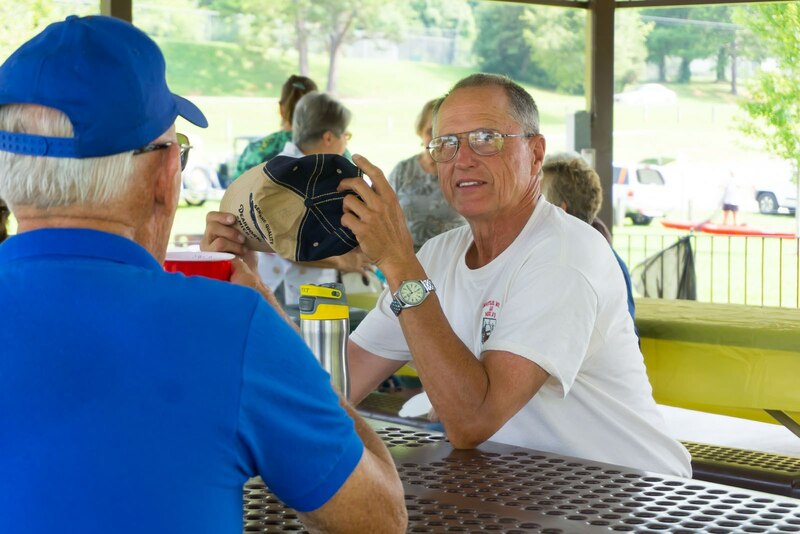 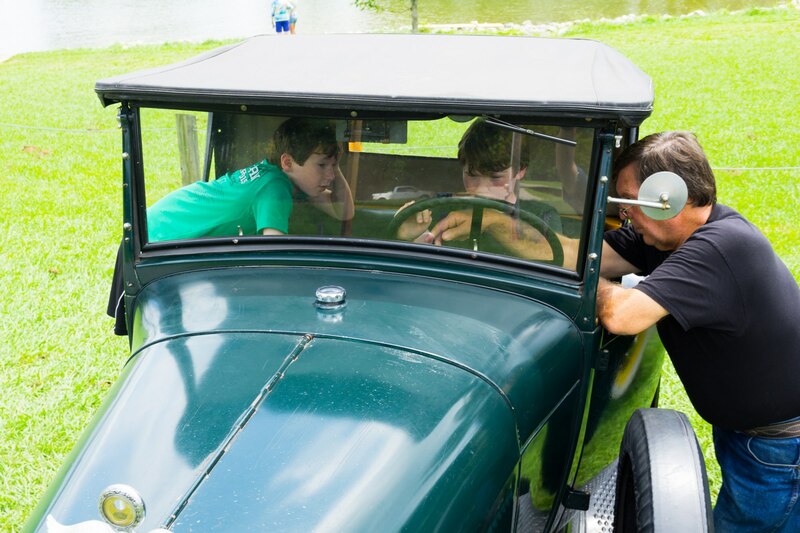 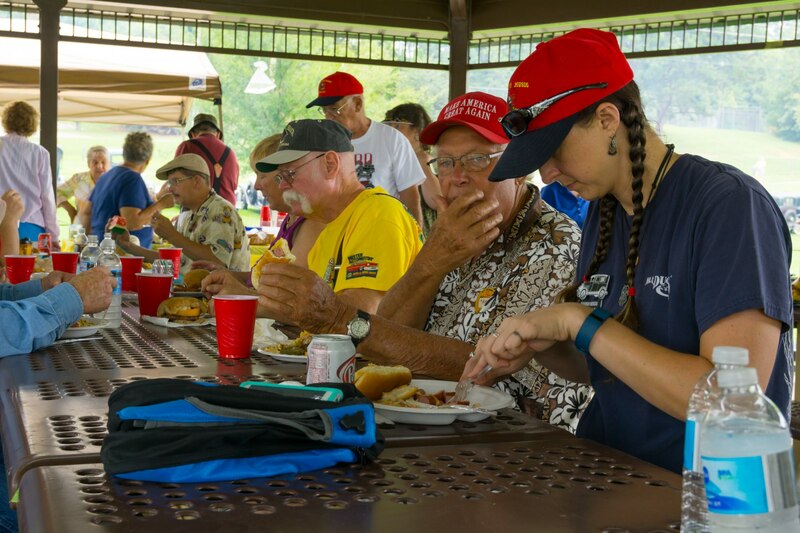 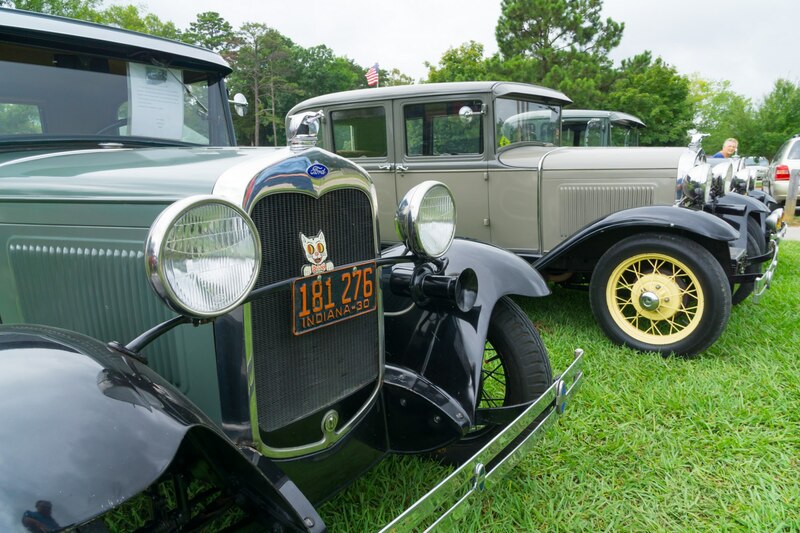 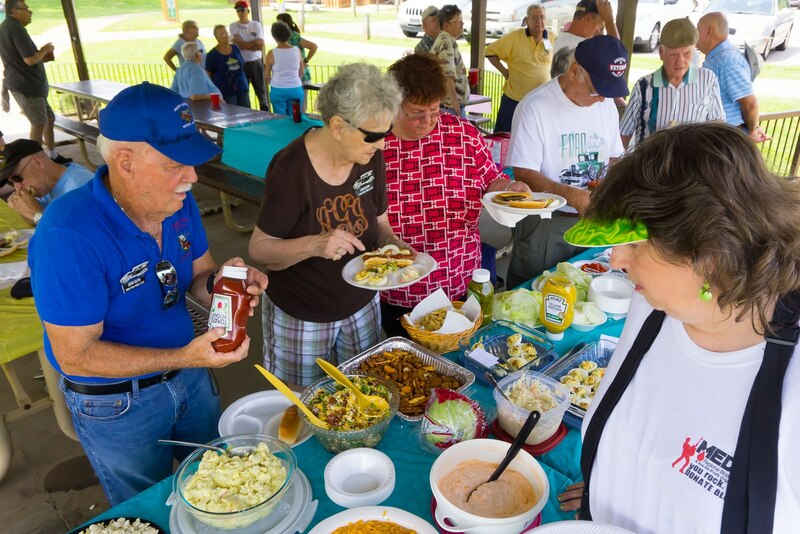 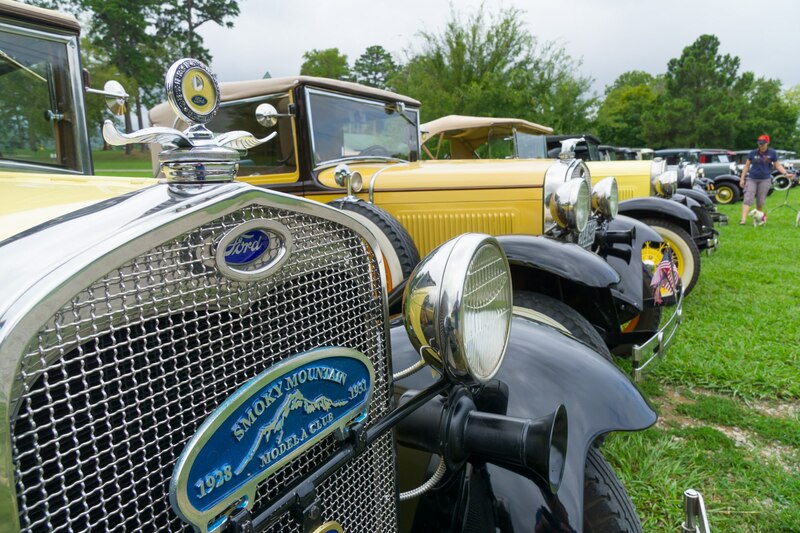 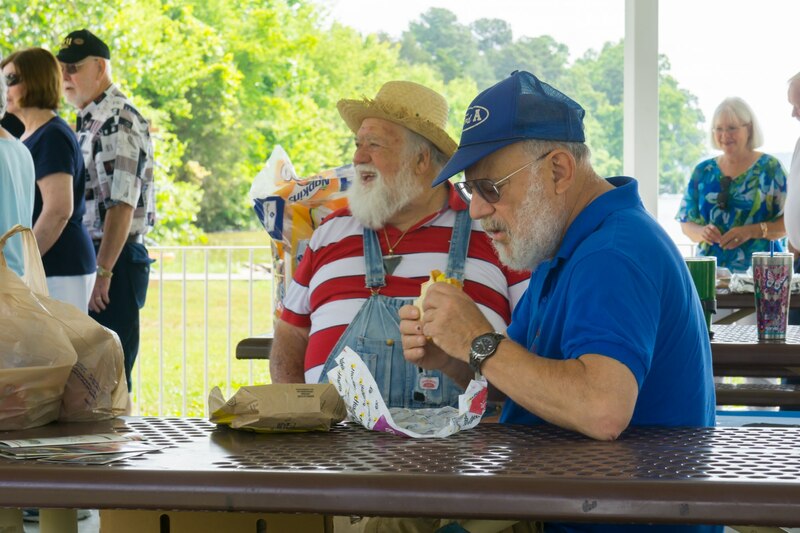 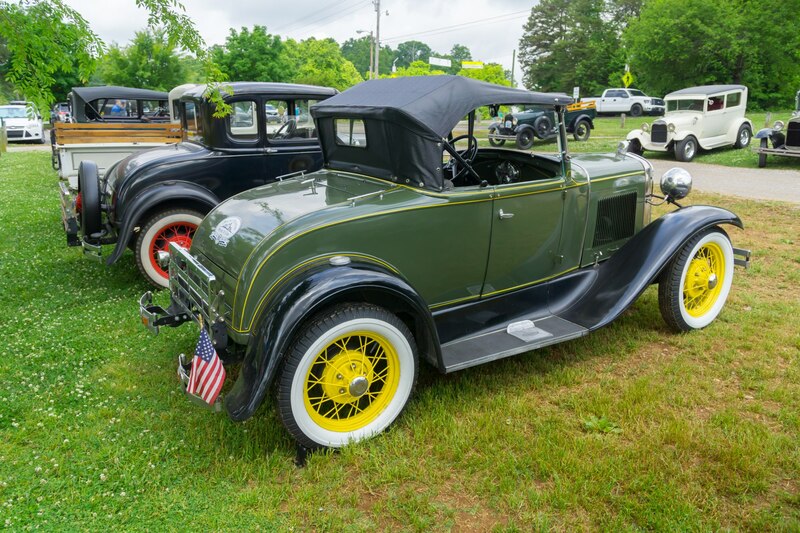 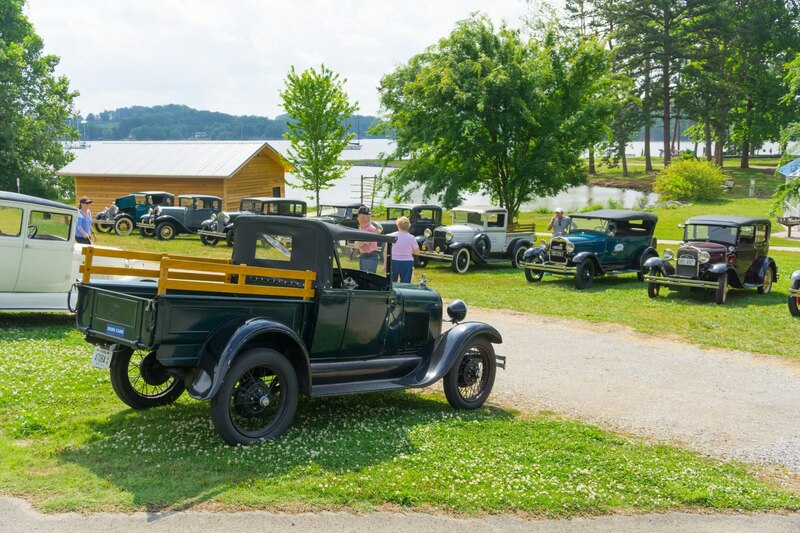 Photos from the 2018 Smoky Mountain Model A Club summer picnic held at The Cove on May 19. 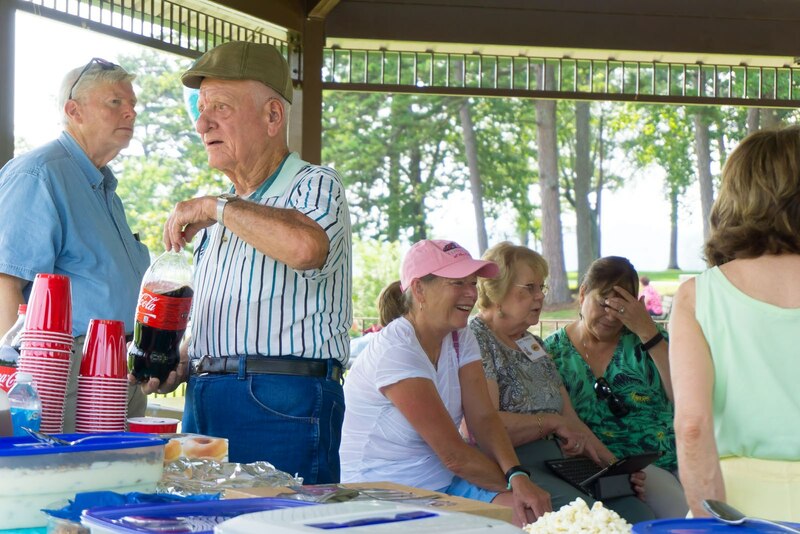 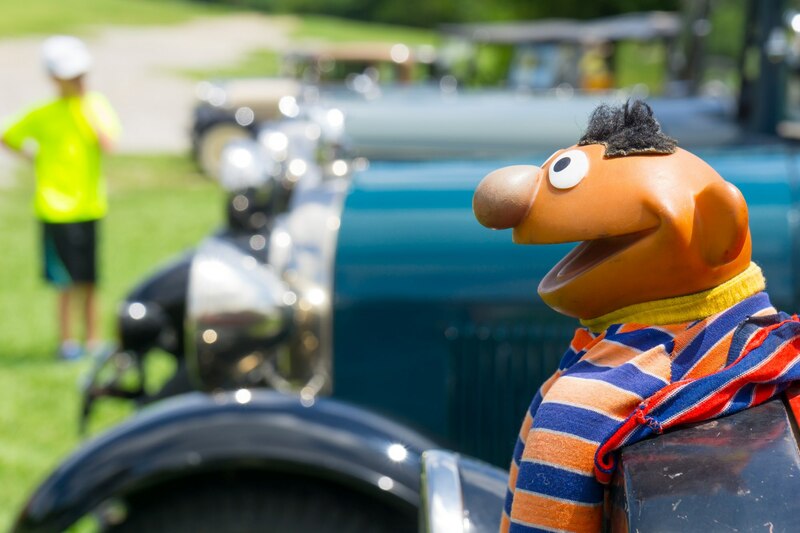 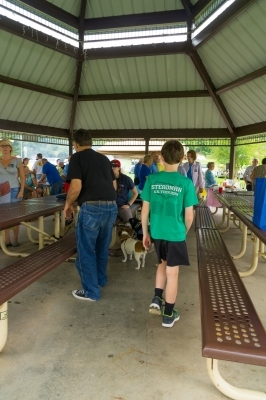 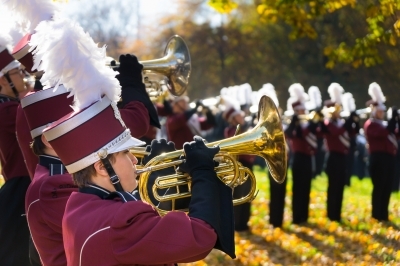 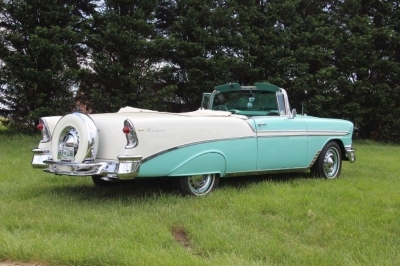 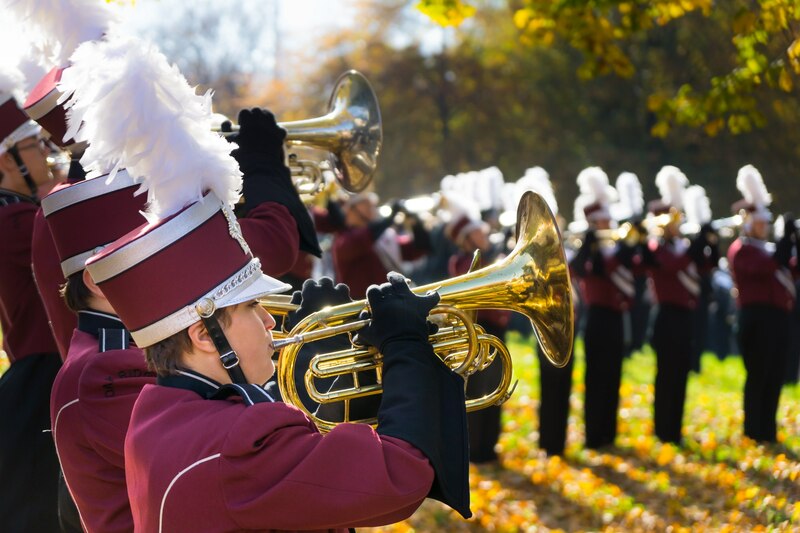 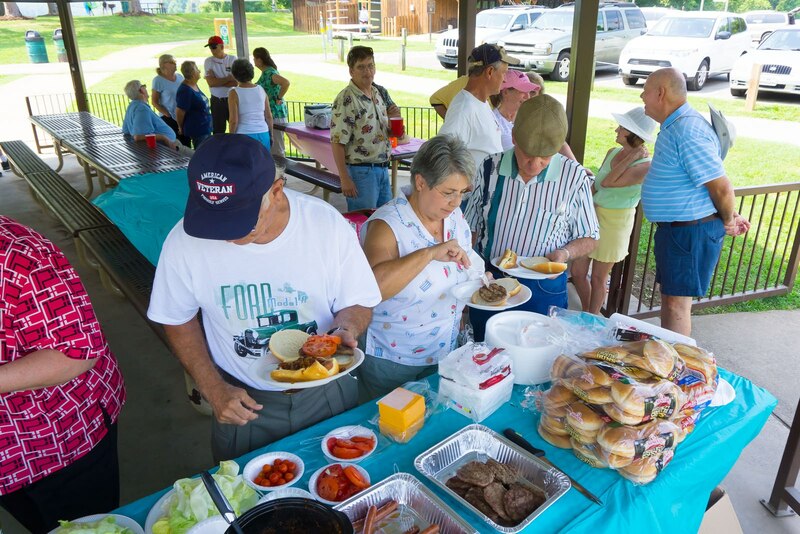 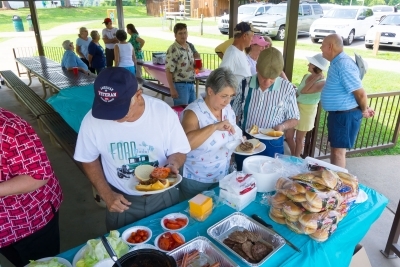 This picnic offered food and fun for all. 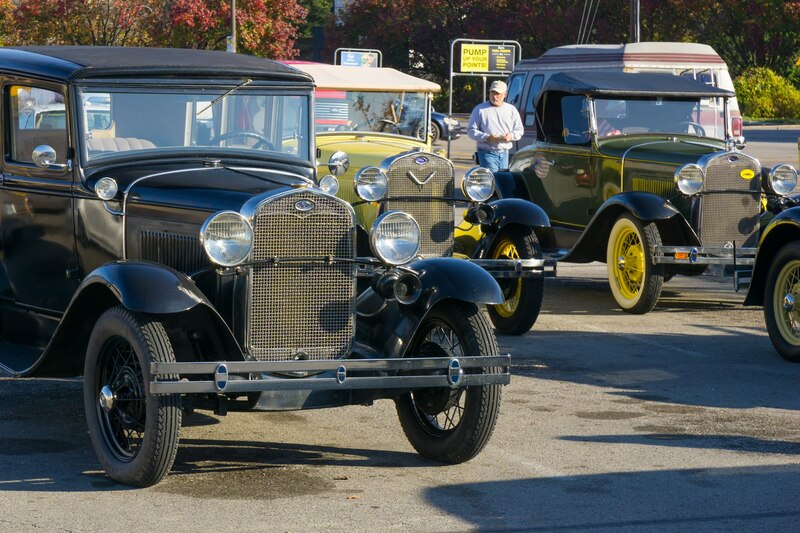 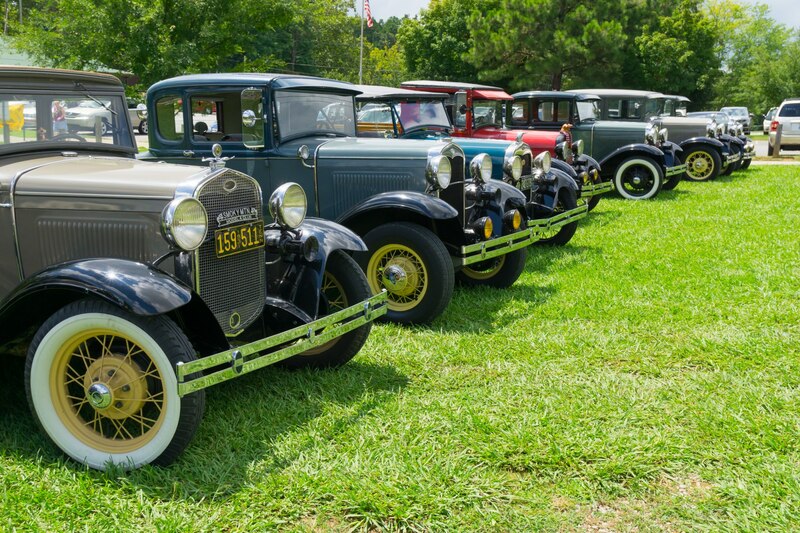 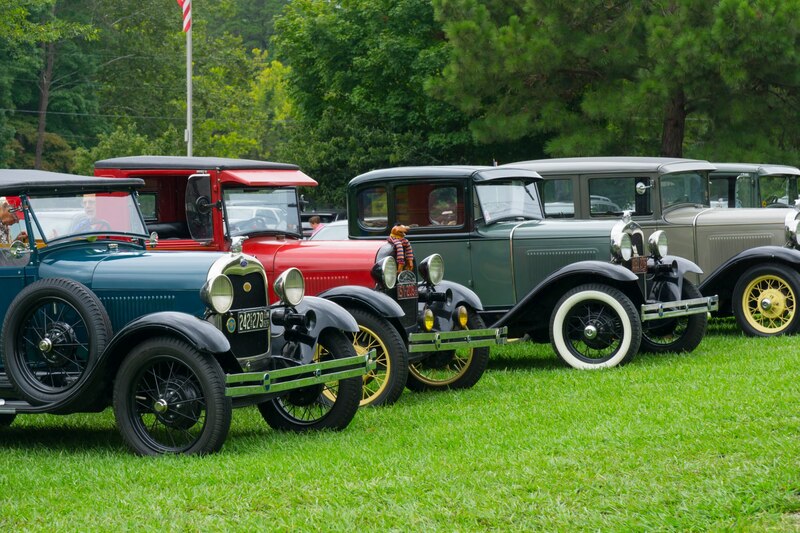 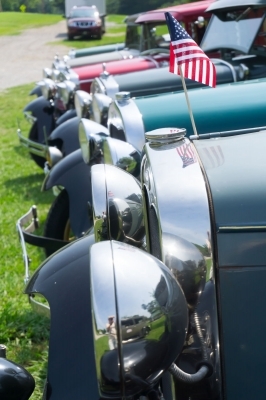 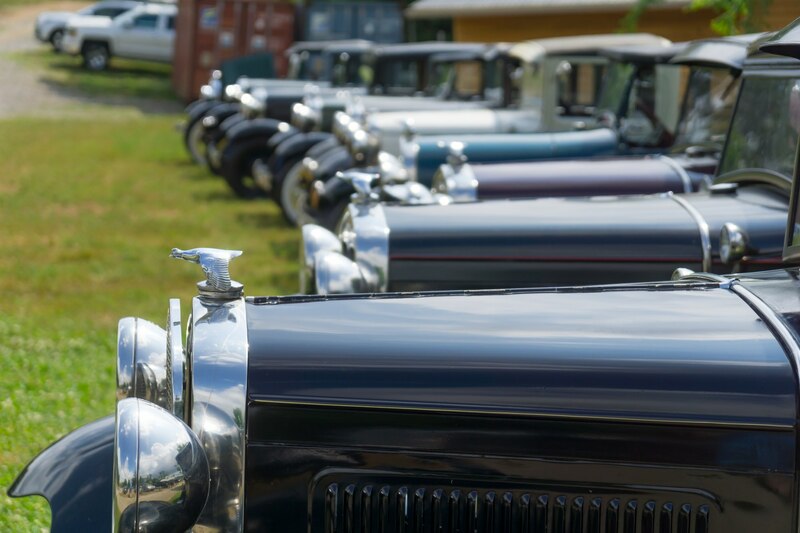 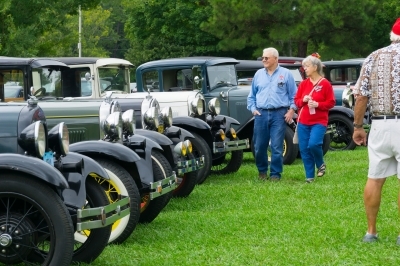 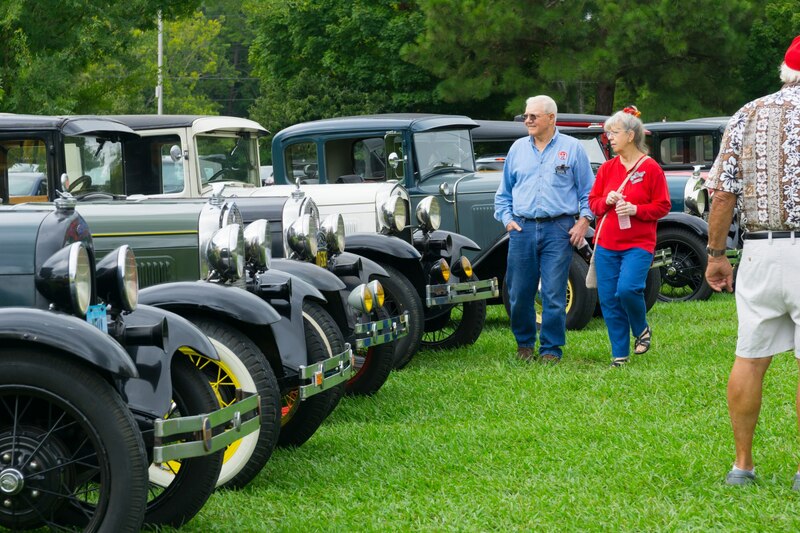 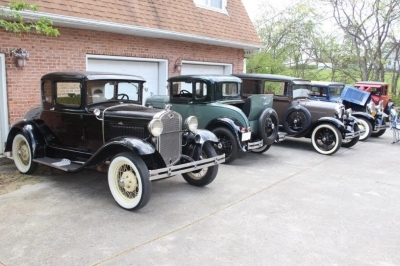 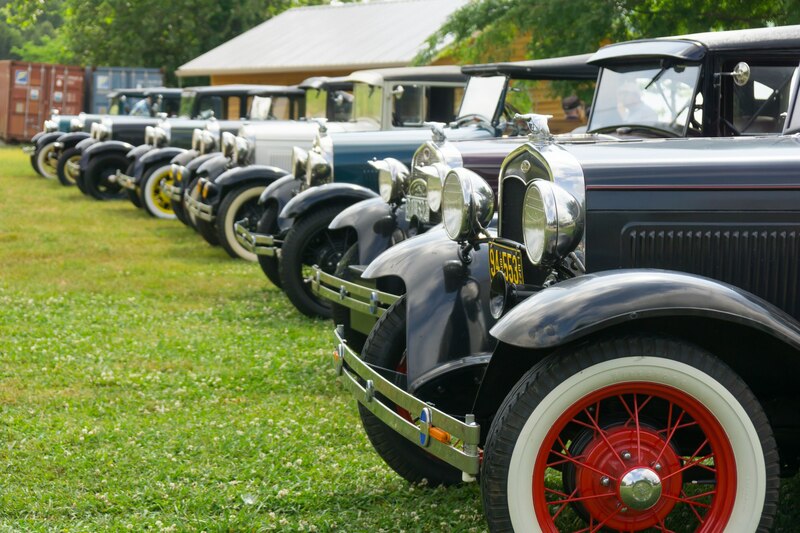 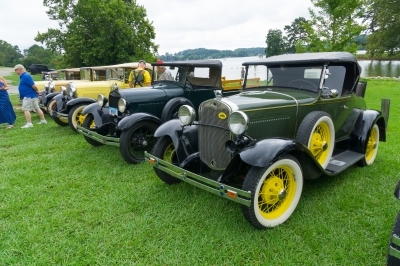 Some of the 15 Model A's which were on hand this day. The club was well represented. 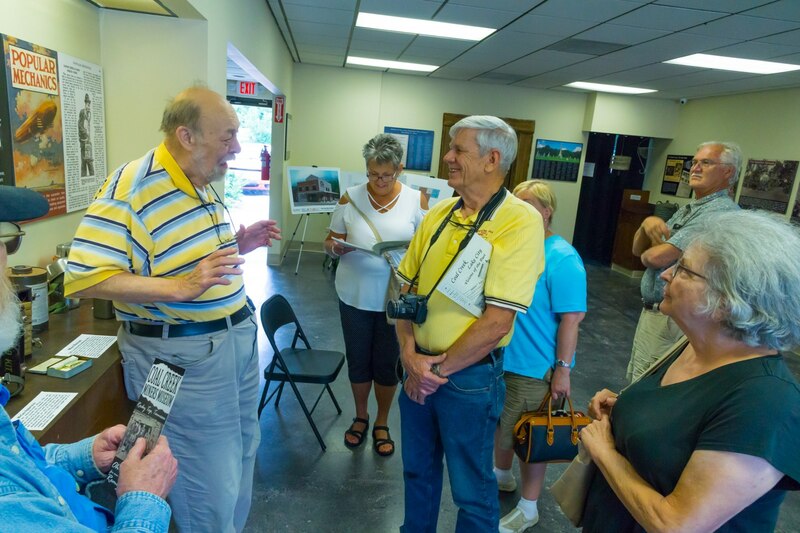 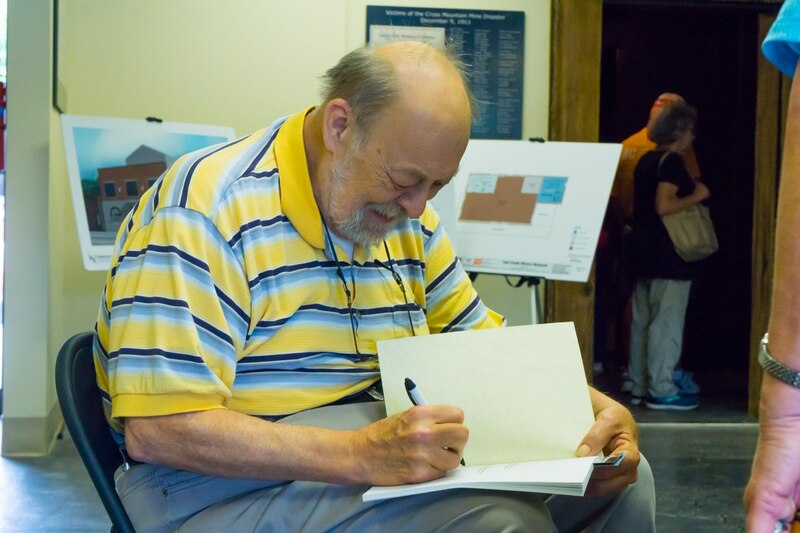 Some were open for the public to admire the powerplant. 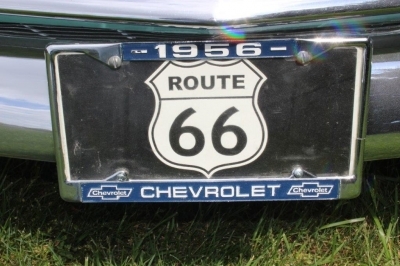 So many of the A's have beautiful details to admire if you take a close look. 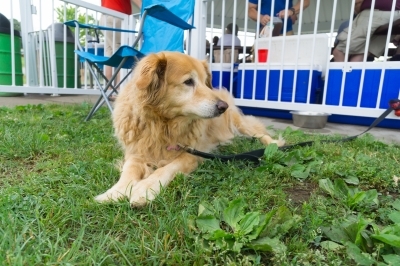 Jim's Golden "Annie" was ready to grab any leftovers. 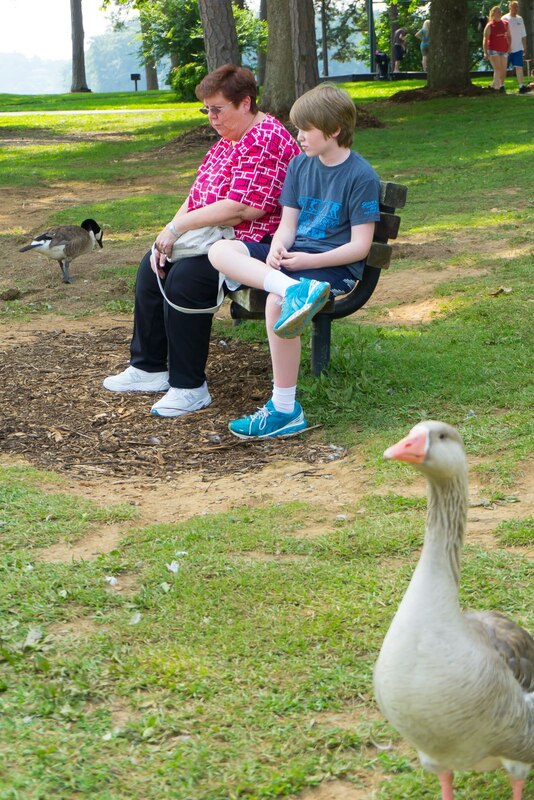 It was a relaxing and enjoyable day. 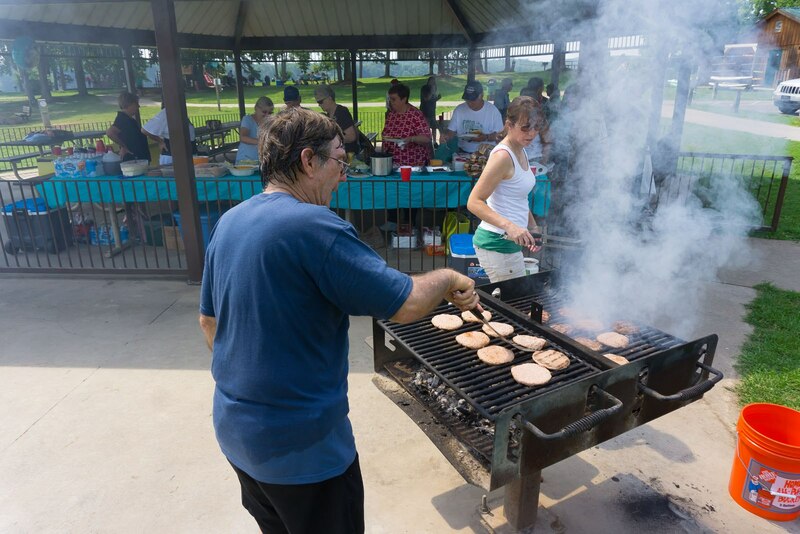 Thanks to Jim Wolfe for acting as our chef once again! An overall view from the drone of Gary Steadman. 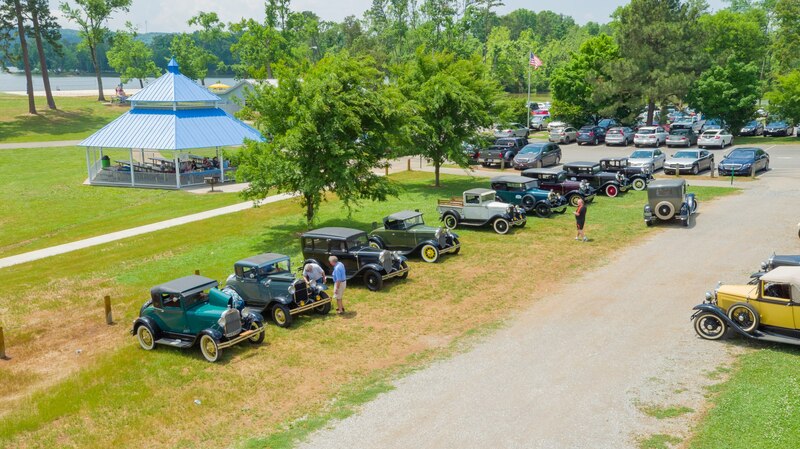 More views from the drone. 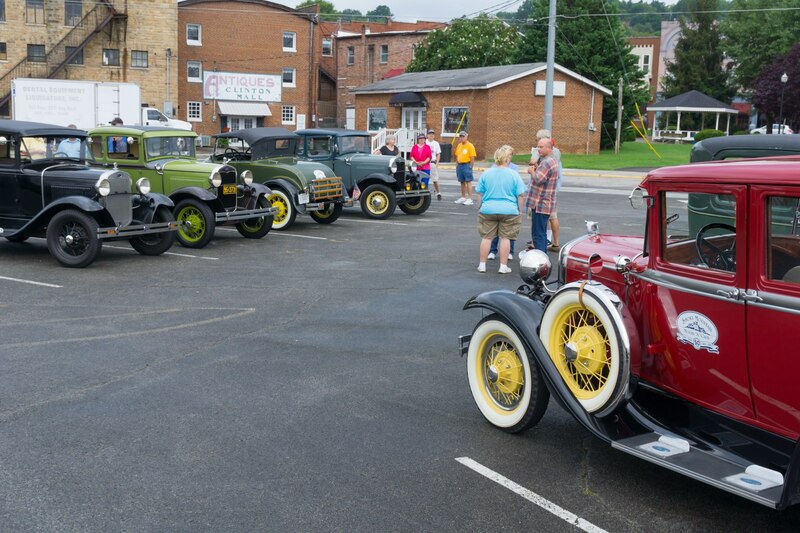 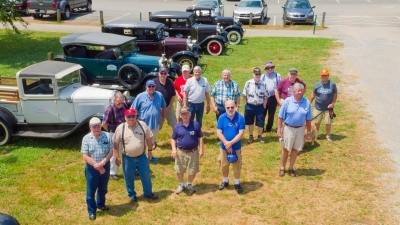 Gary Steadman took some group photos with his drone of club members and some of the Model A's! 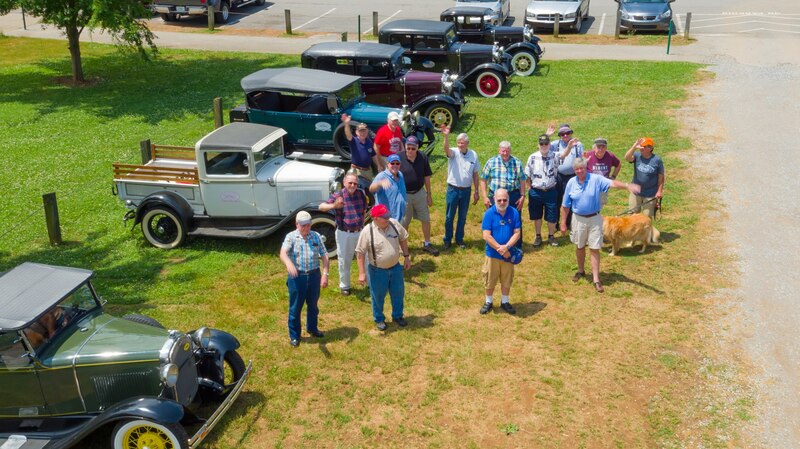 Another group photo from Gary Steadman's drone. 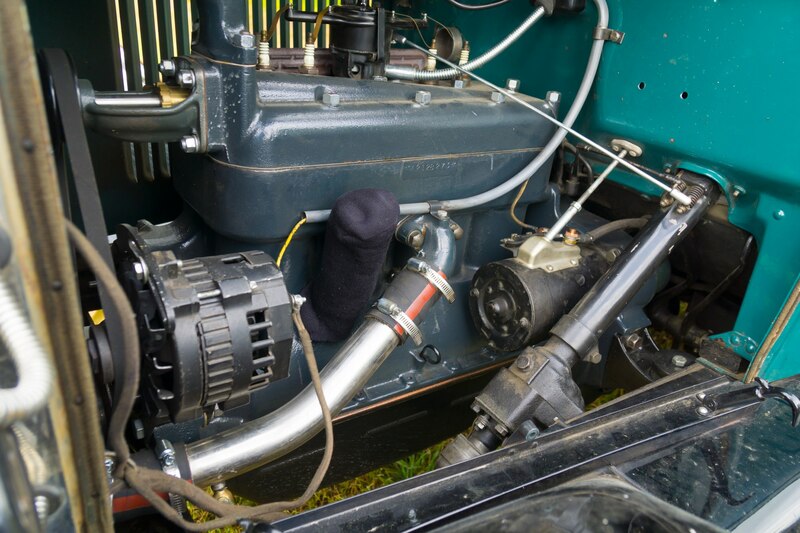 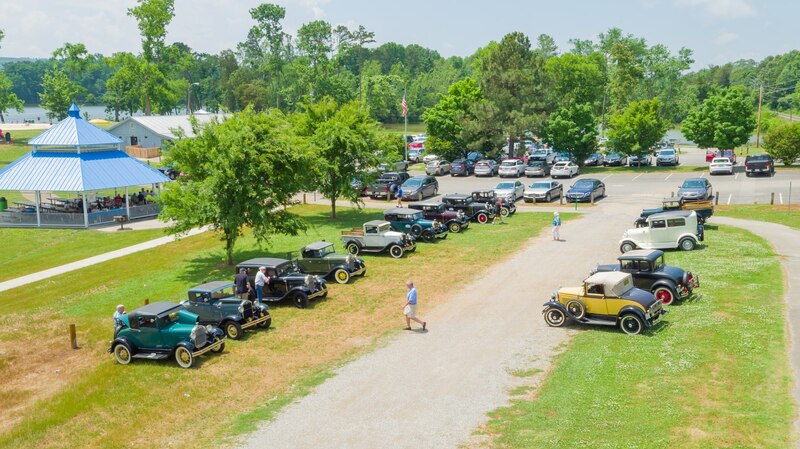 An overview of our display of Model A's at The Cove. 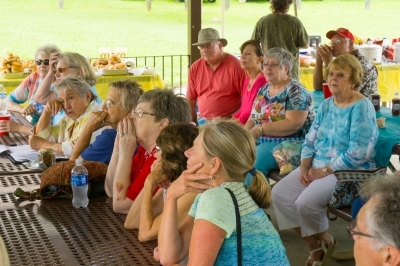 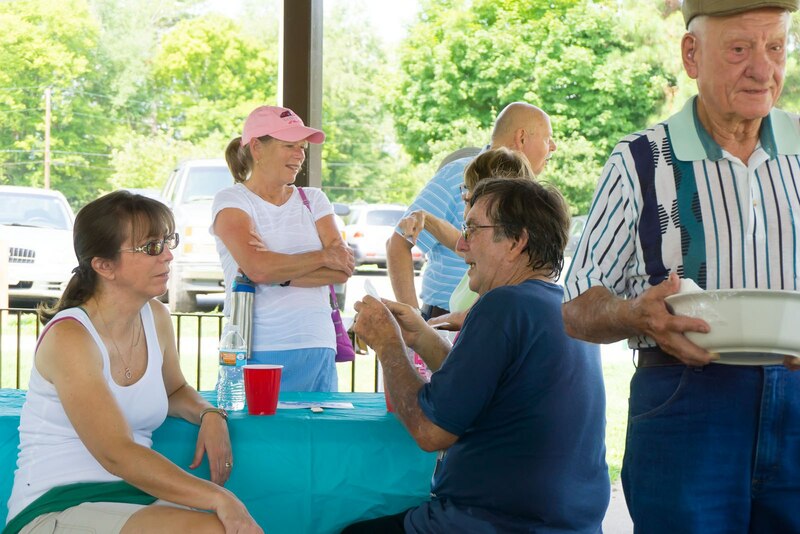 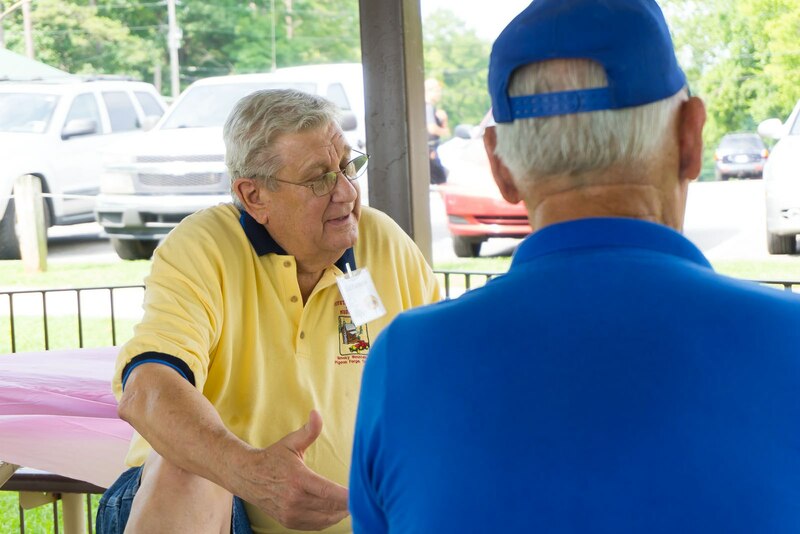 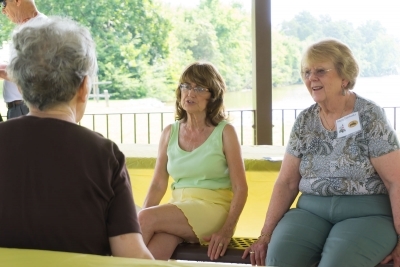 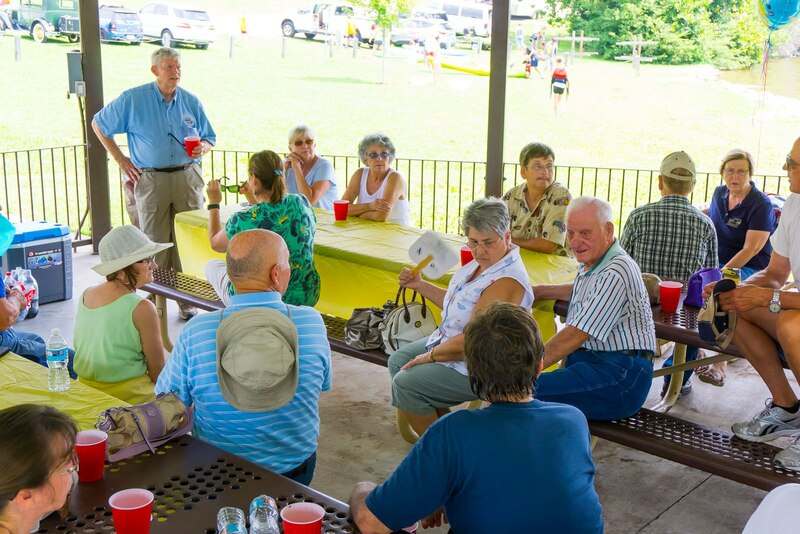 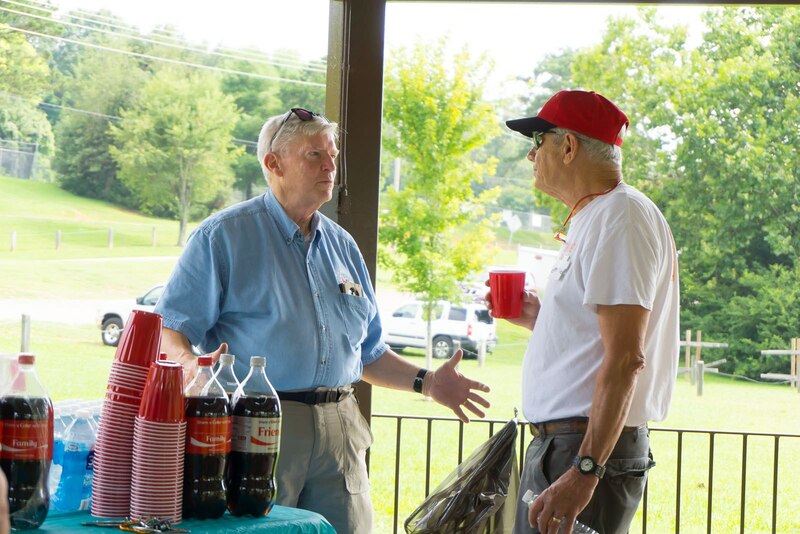 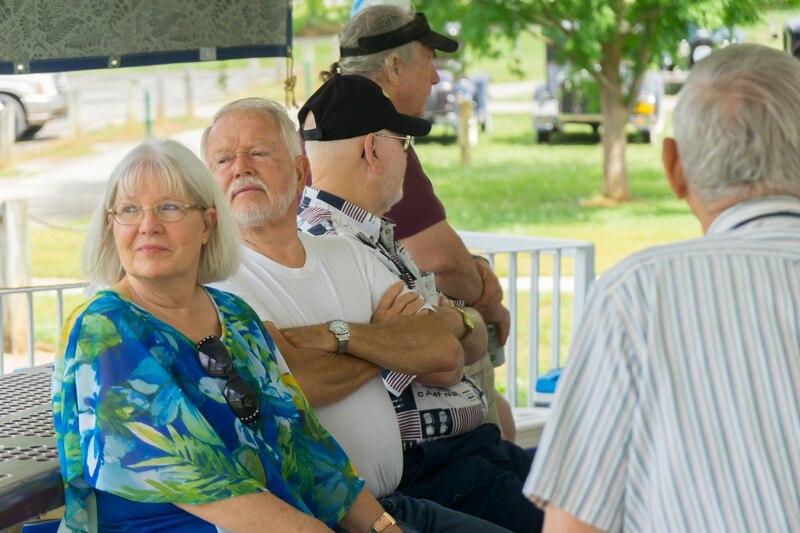 Club members were hosted once again by Vic and Linda Varady at their home in Maryville, TN. 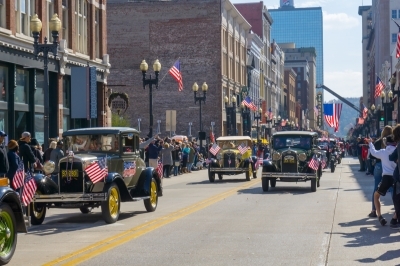 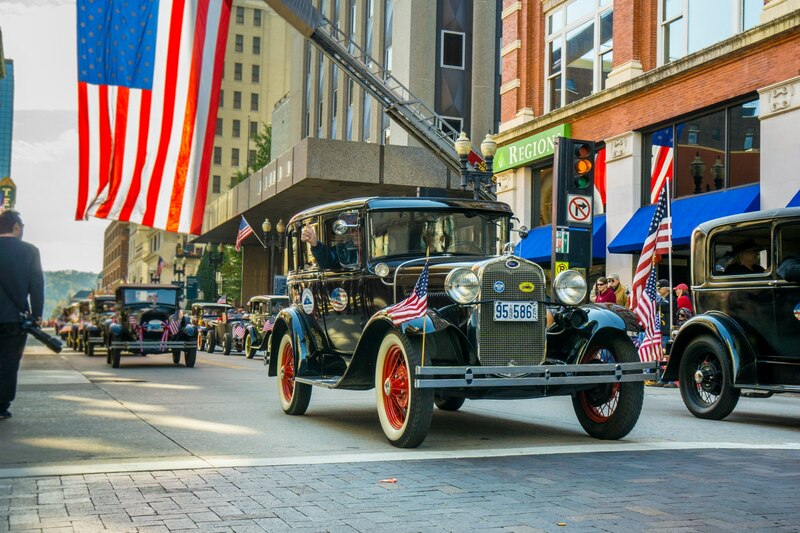 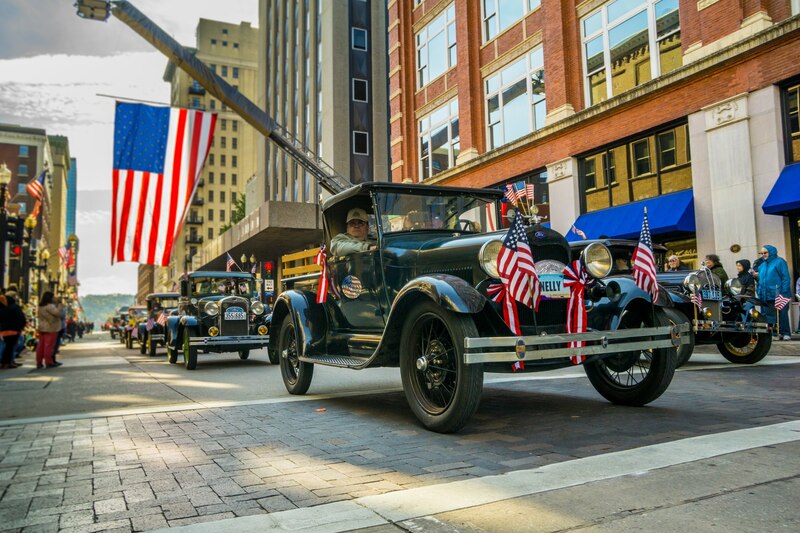 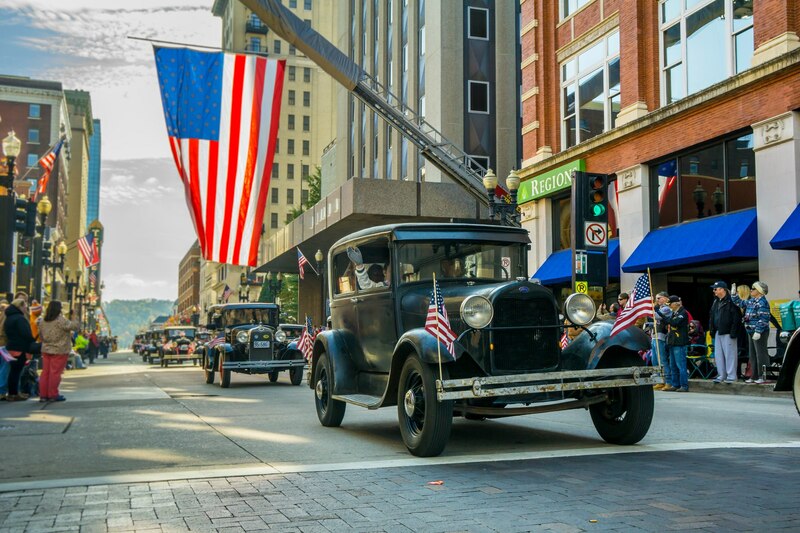 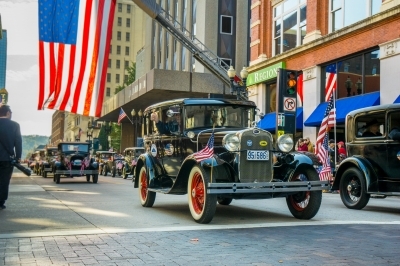 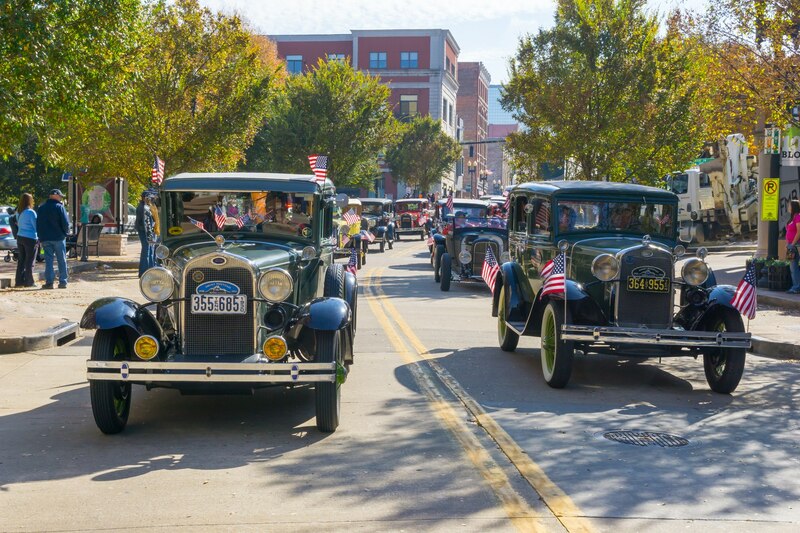 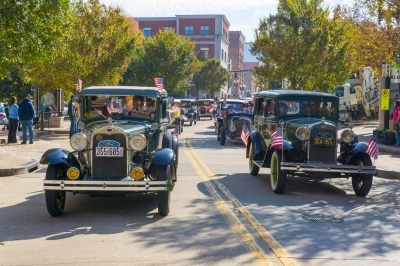 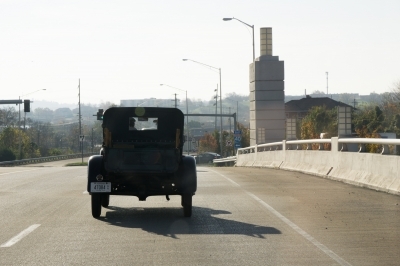 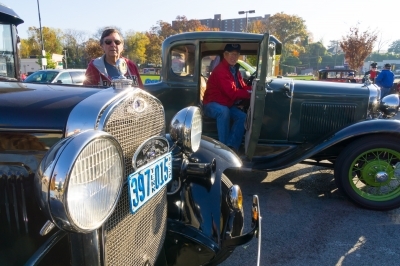 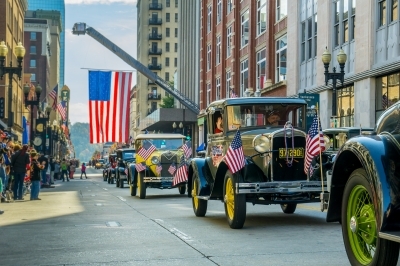 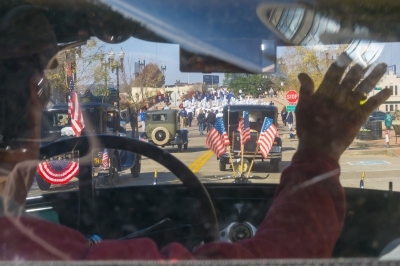 An annual event for Smoky Mountain Model A Club, the Knoxville Veterans Day parade down Gay St. 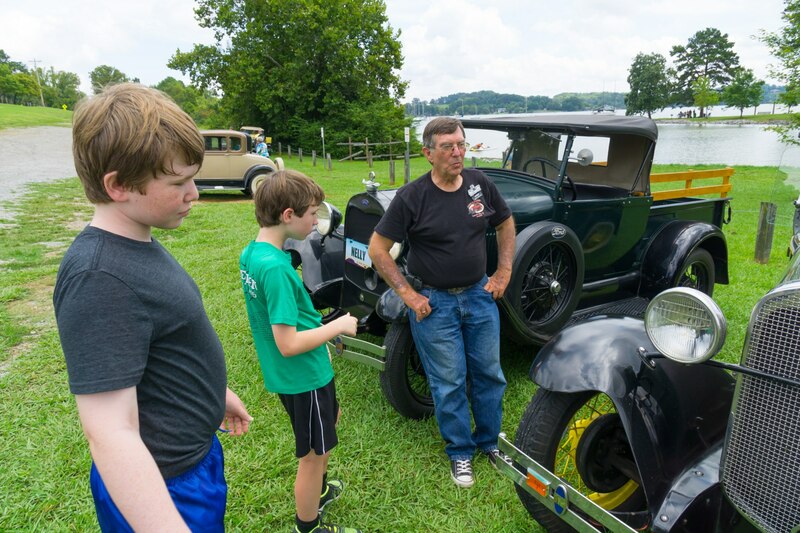 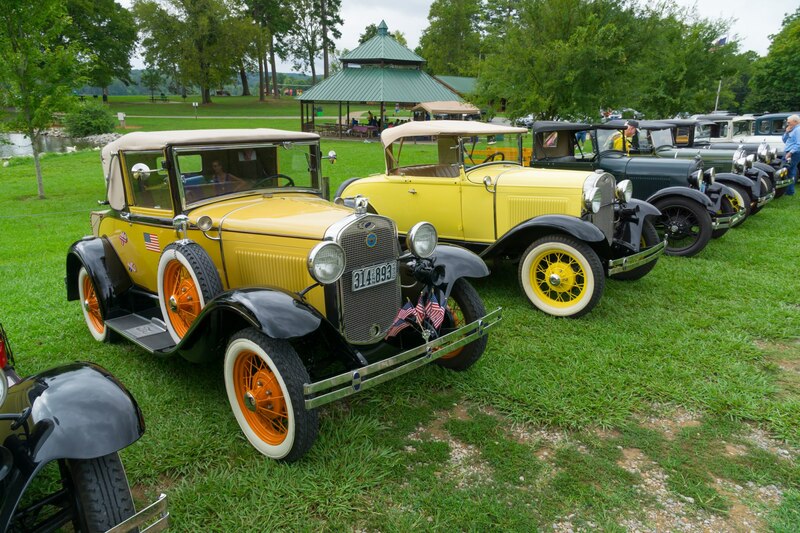 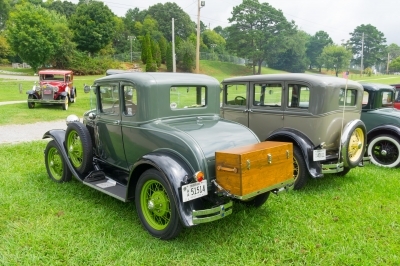 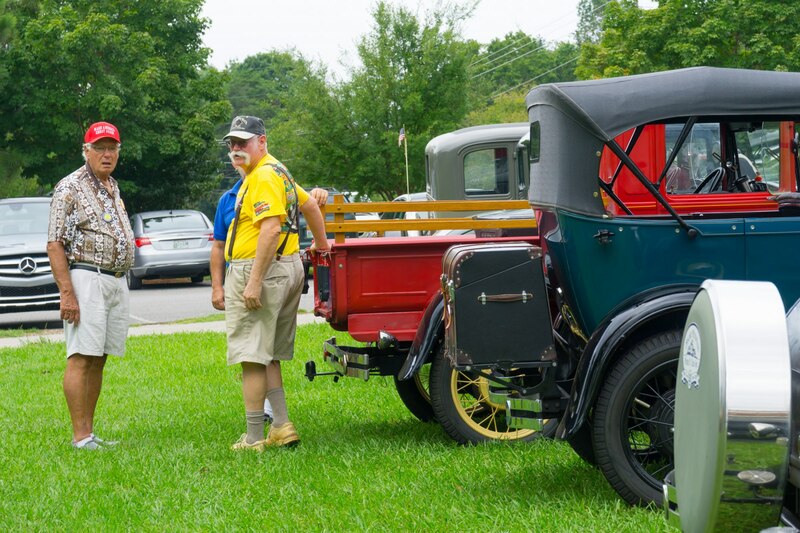 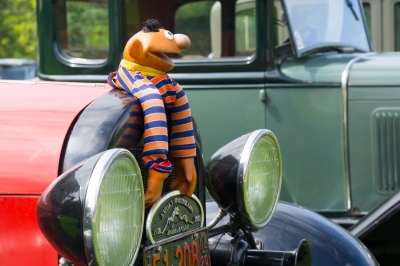 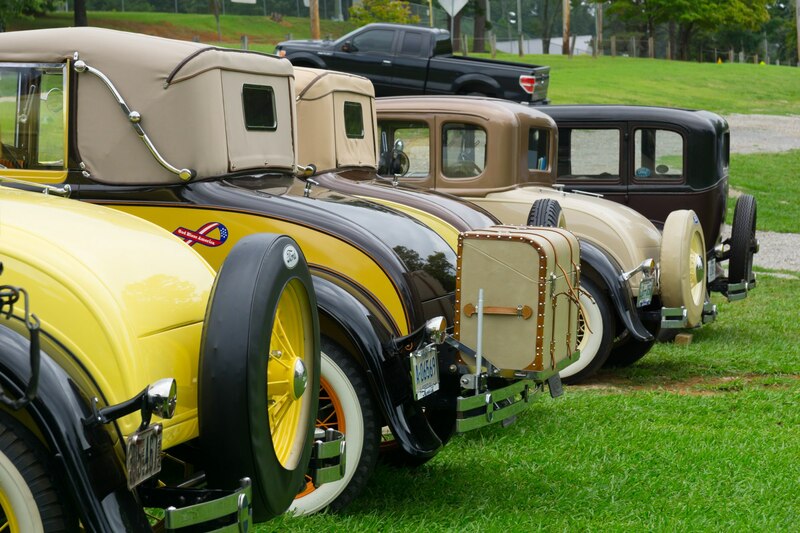 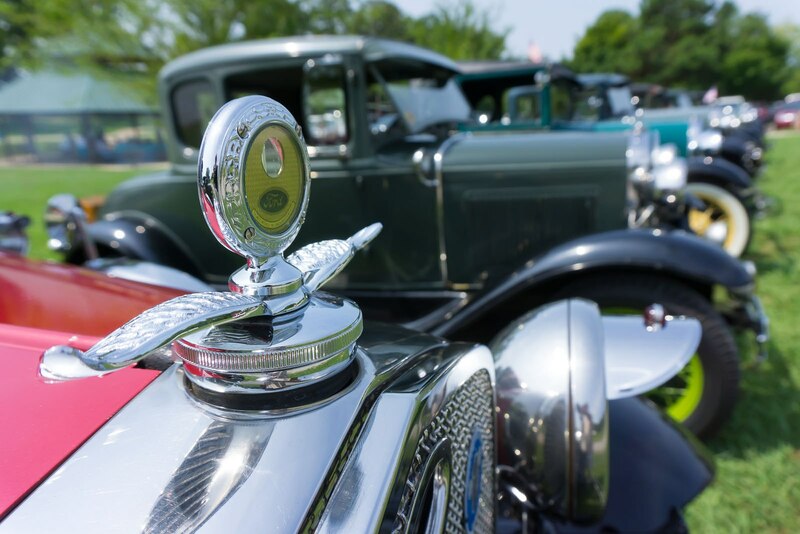 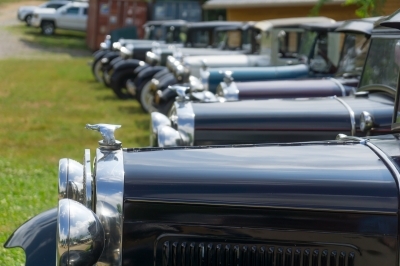 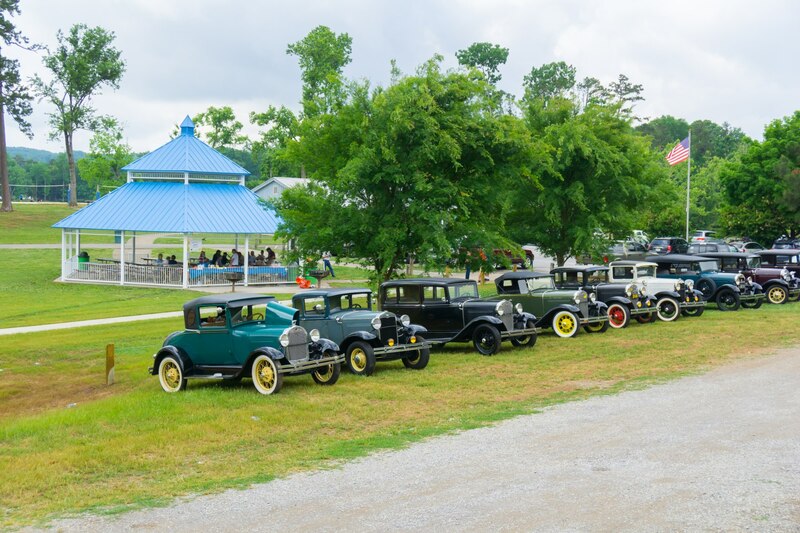 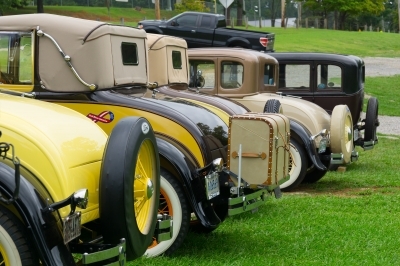 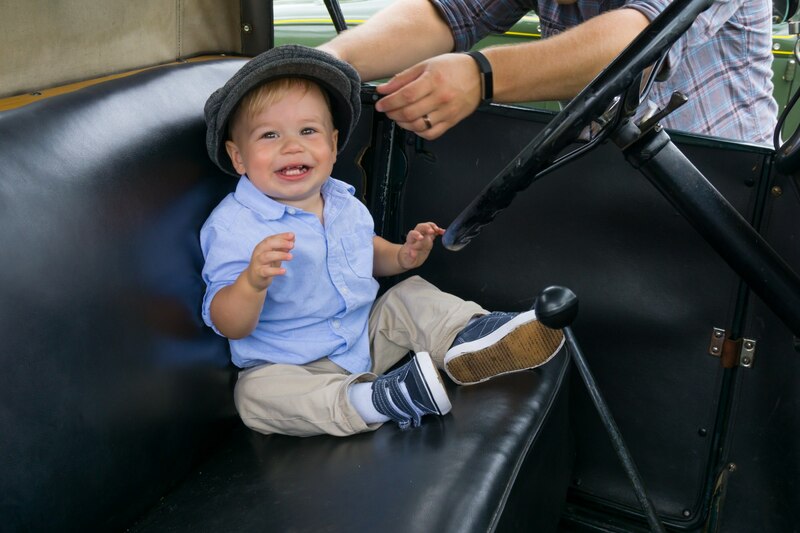 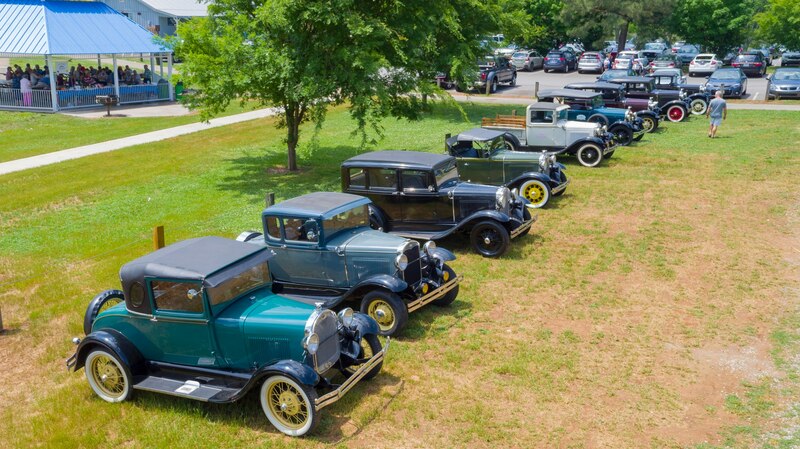 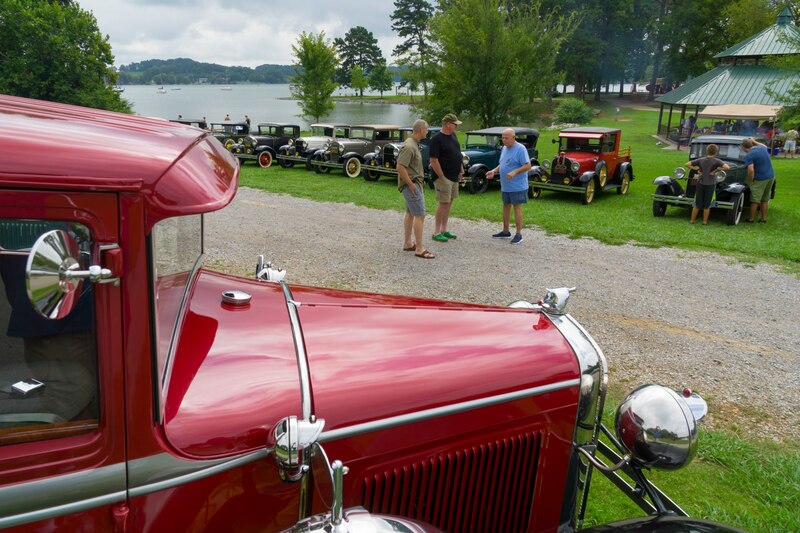 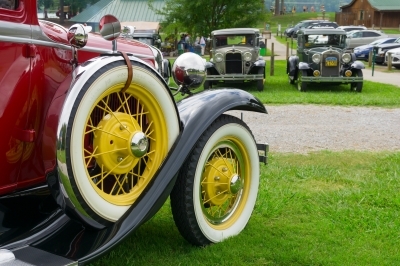 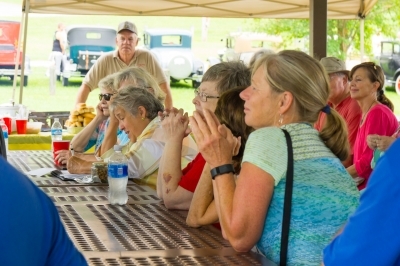 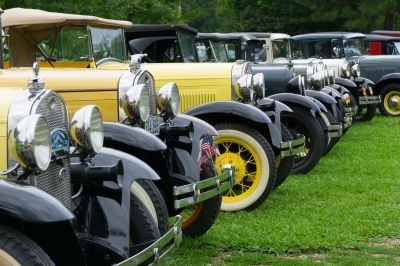 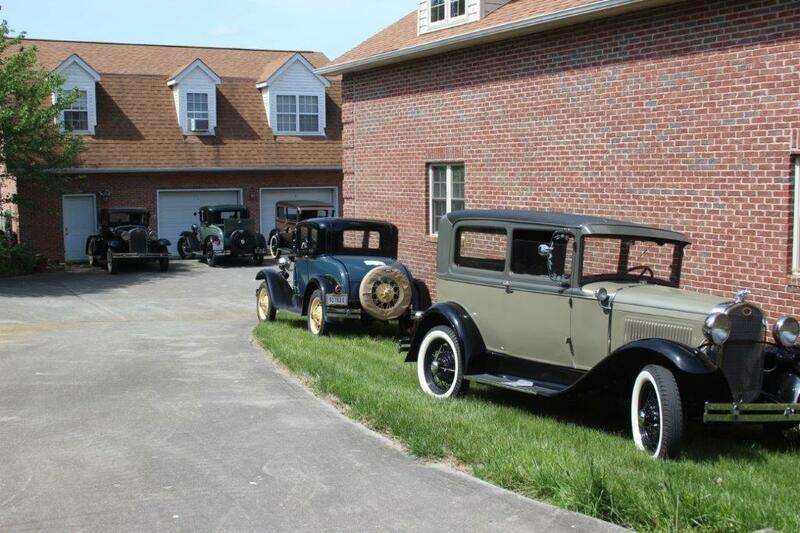 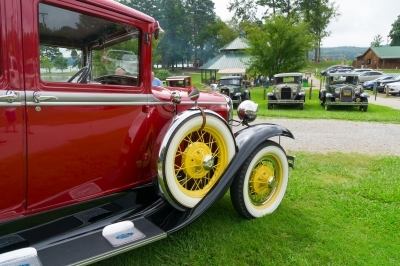 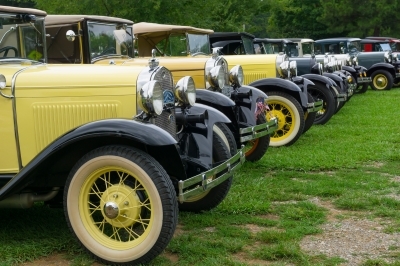 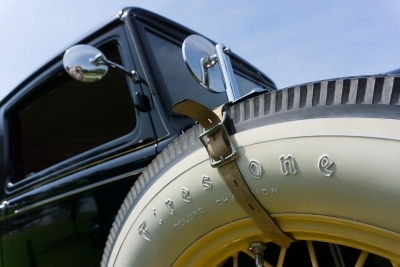 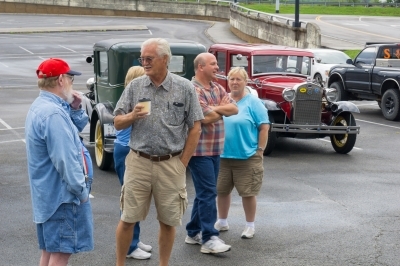 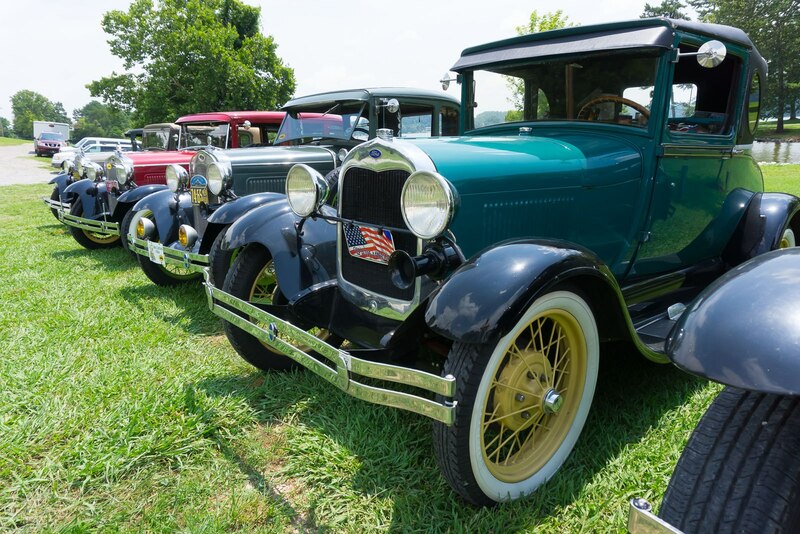 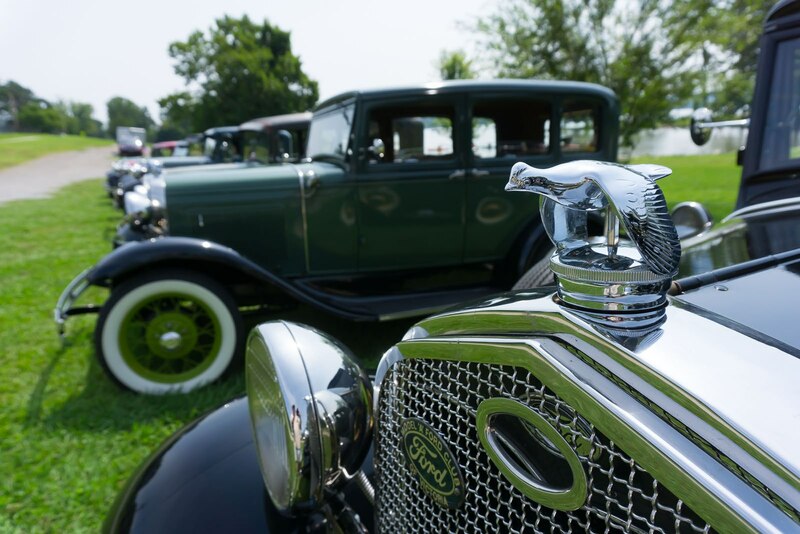 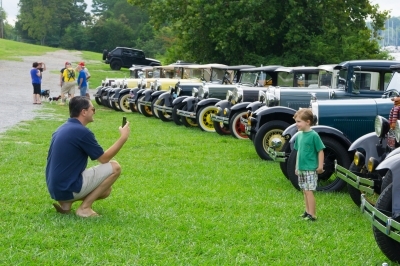 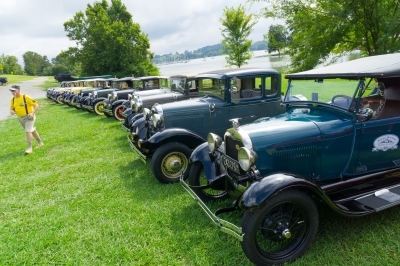 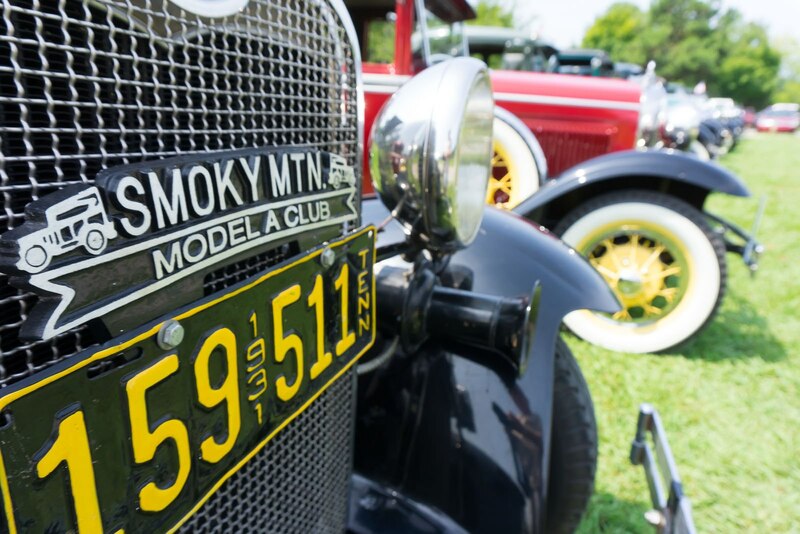 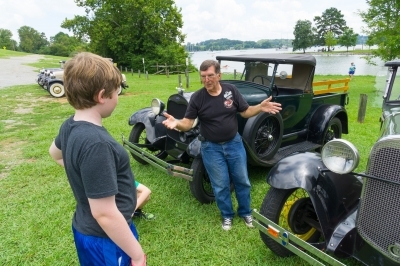 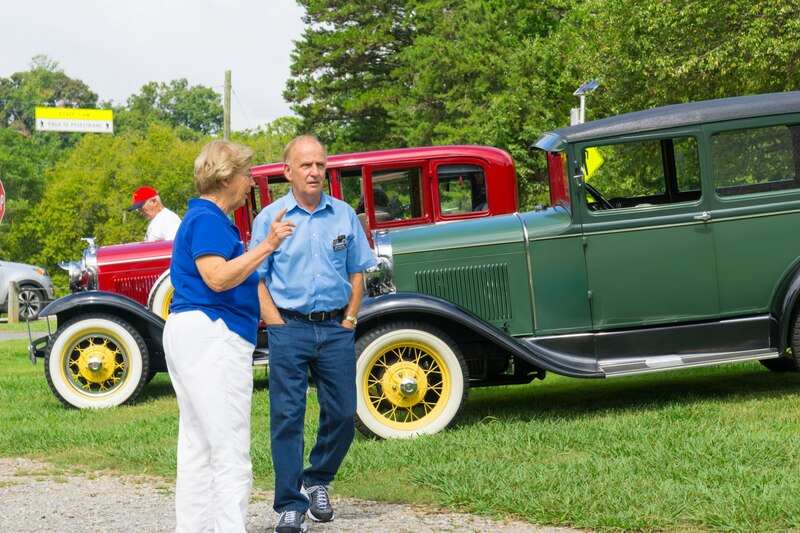 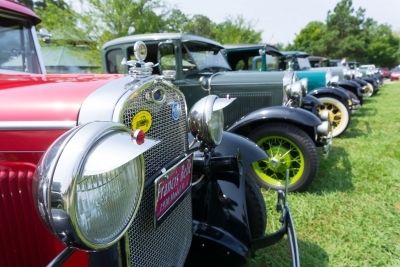 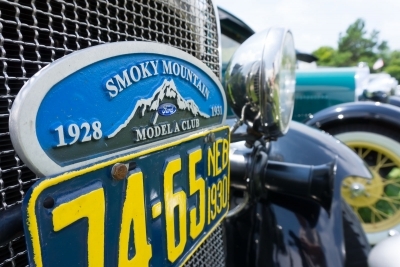 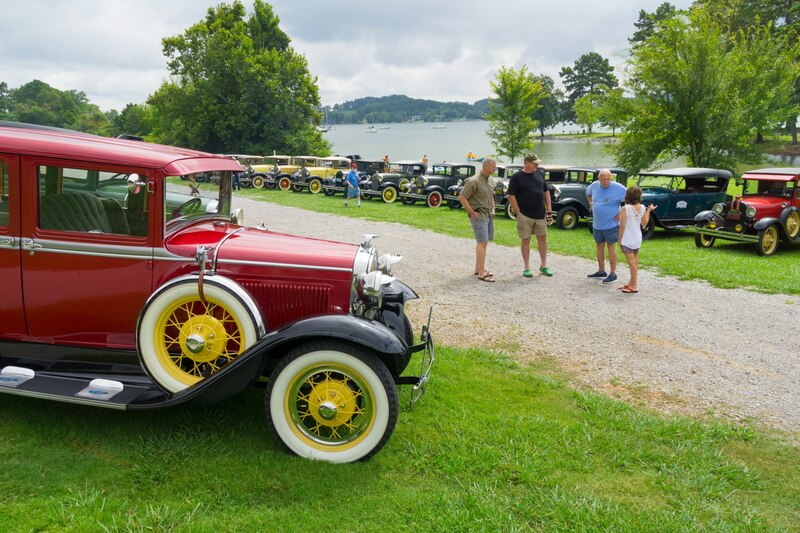 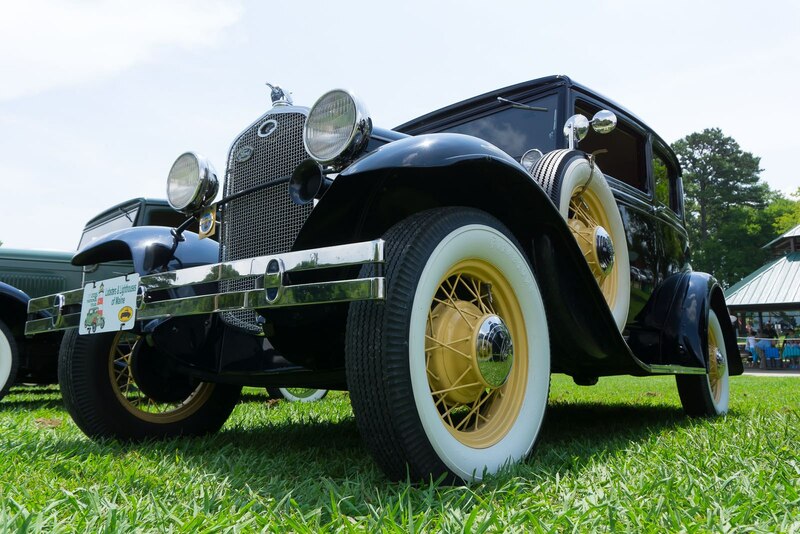 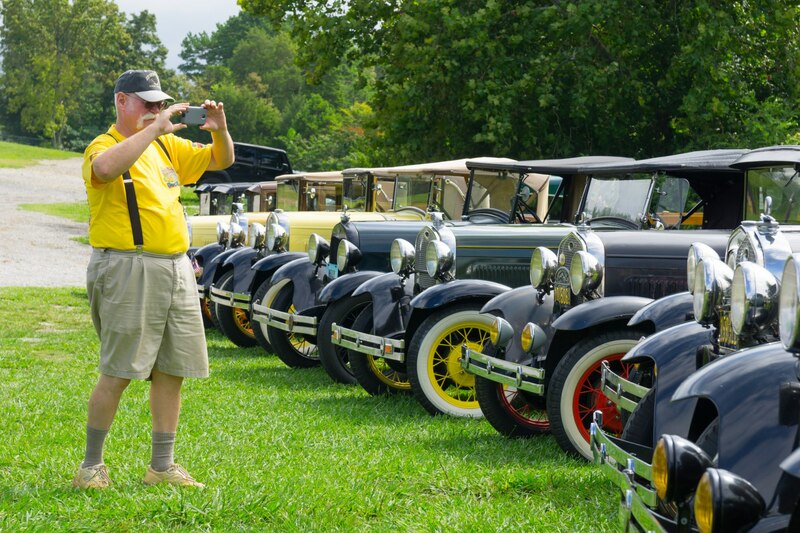 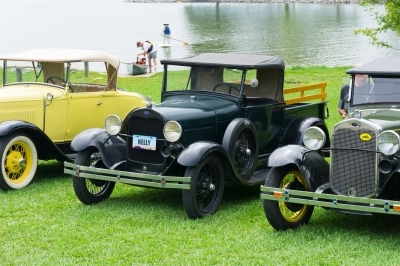 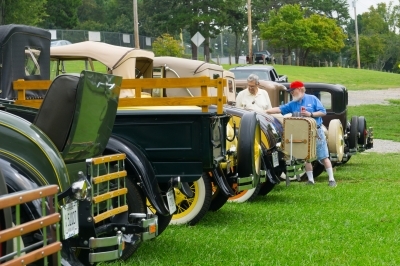 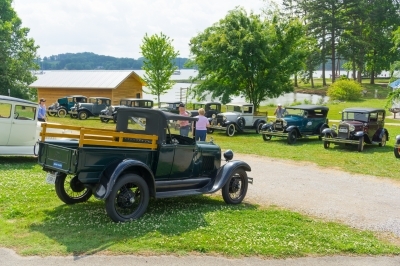 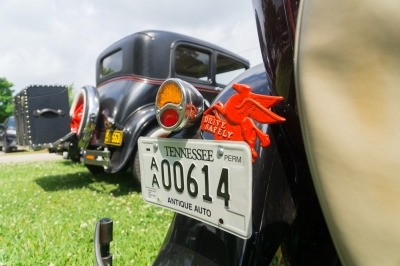 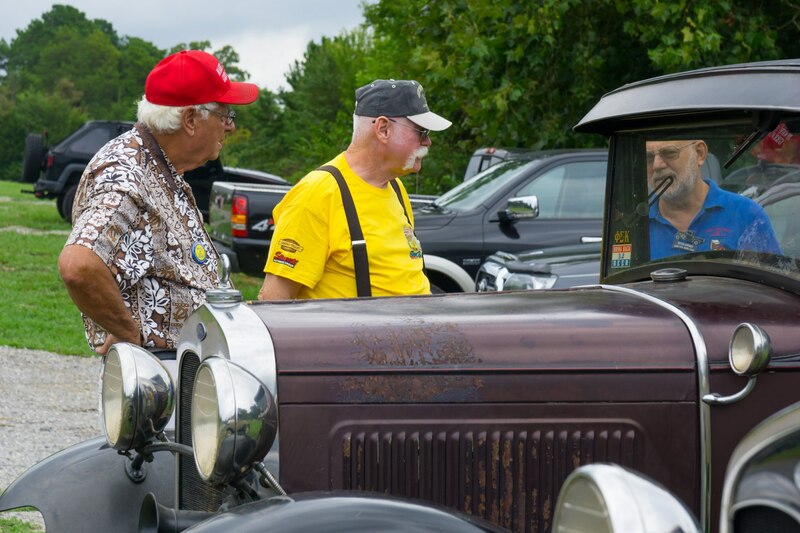 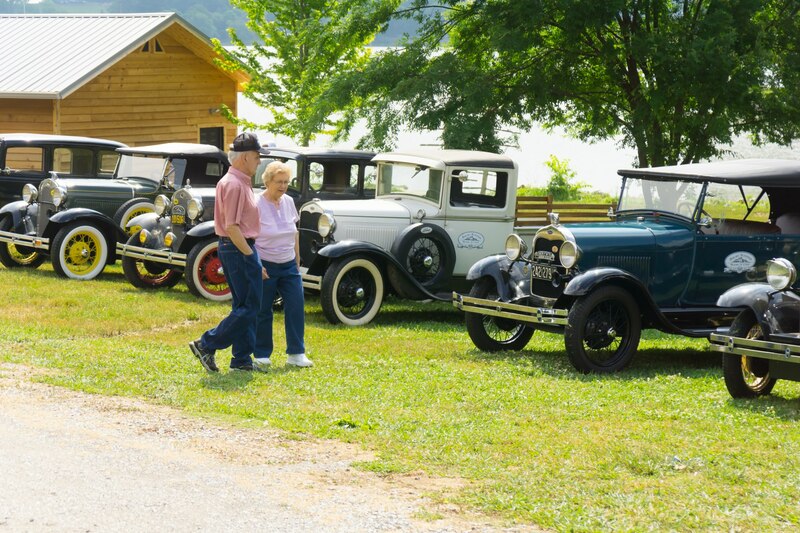 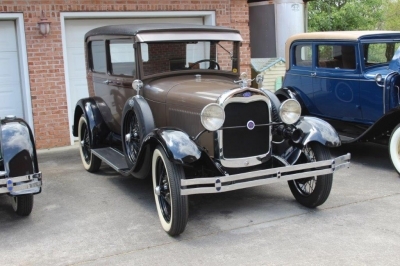 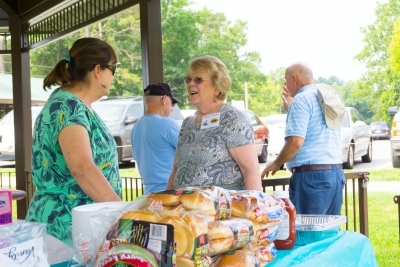 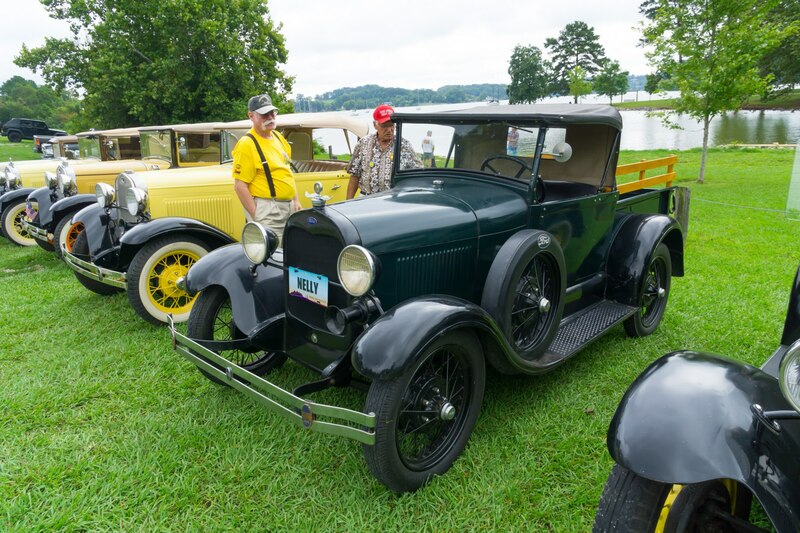 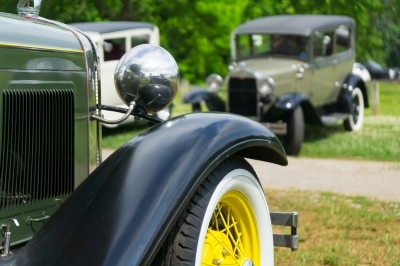 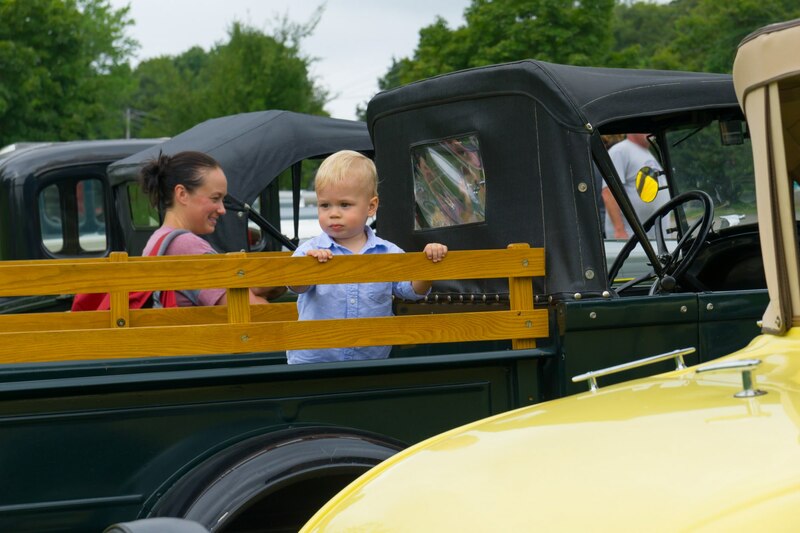 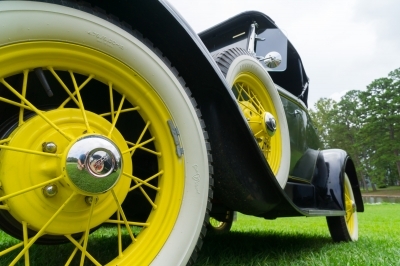 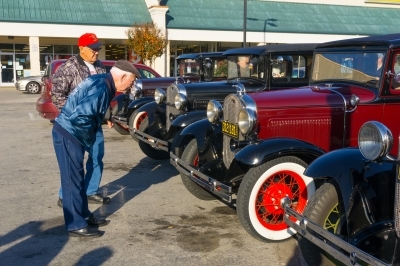 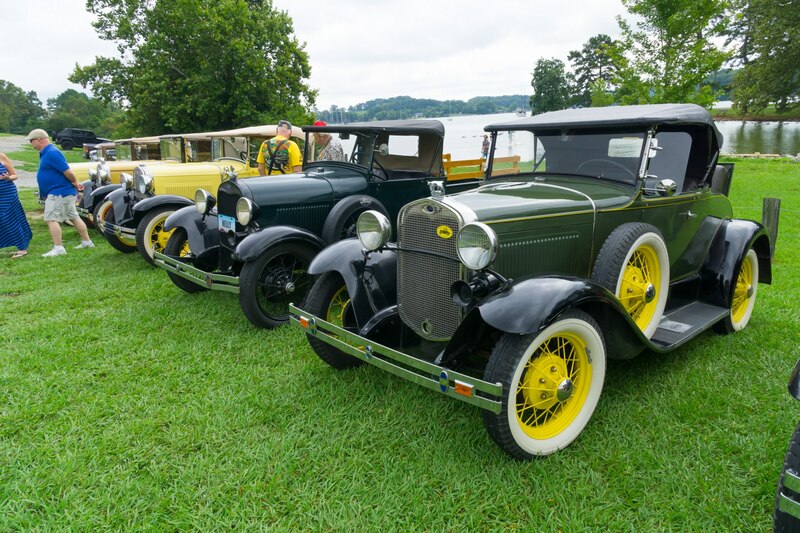 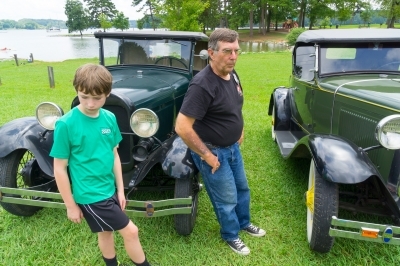 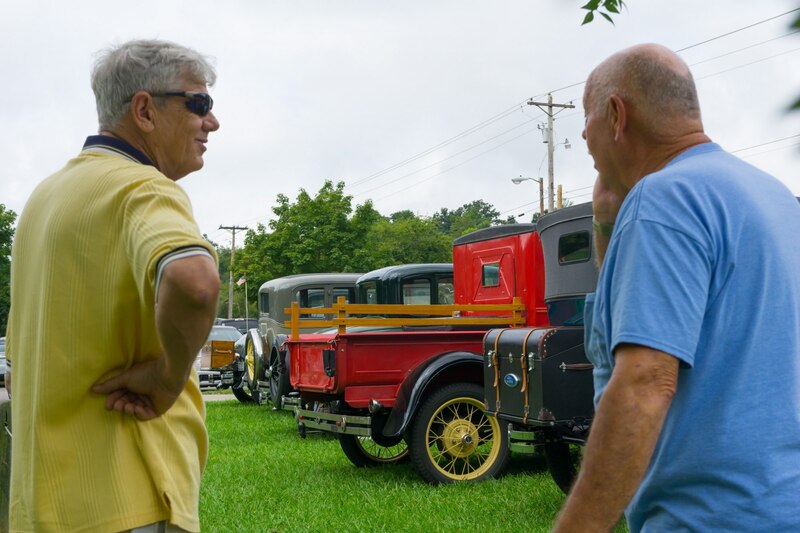 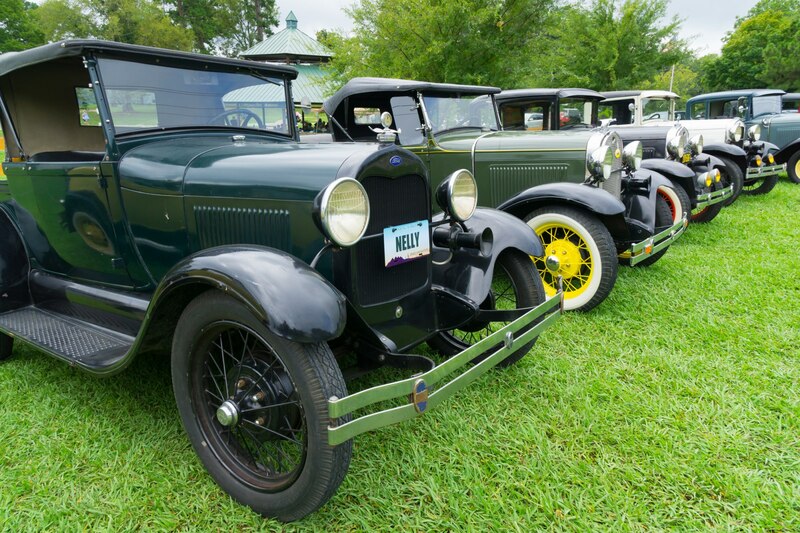 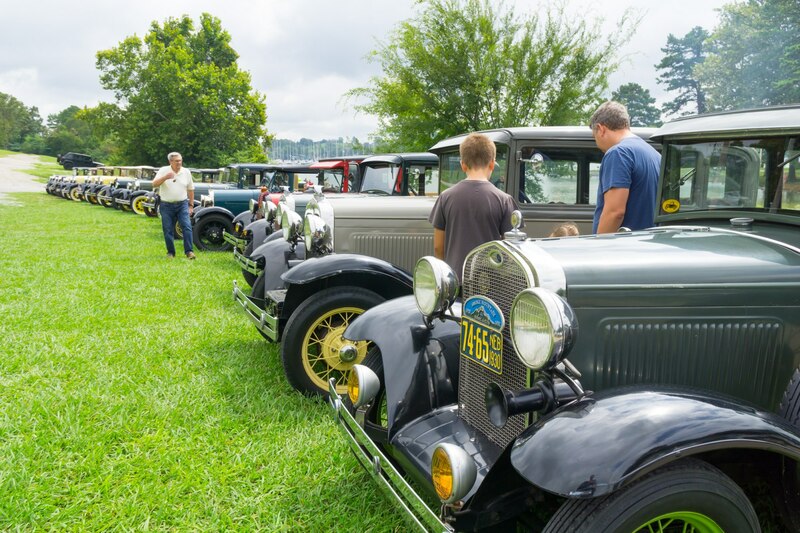 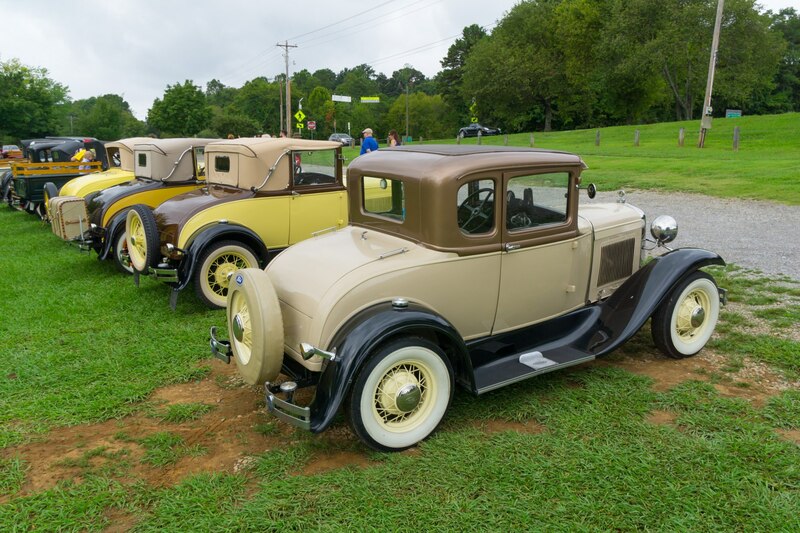 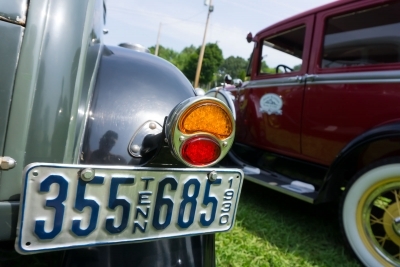 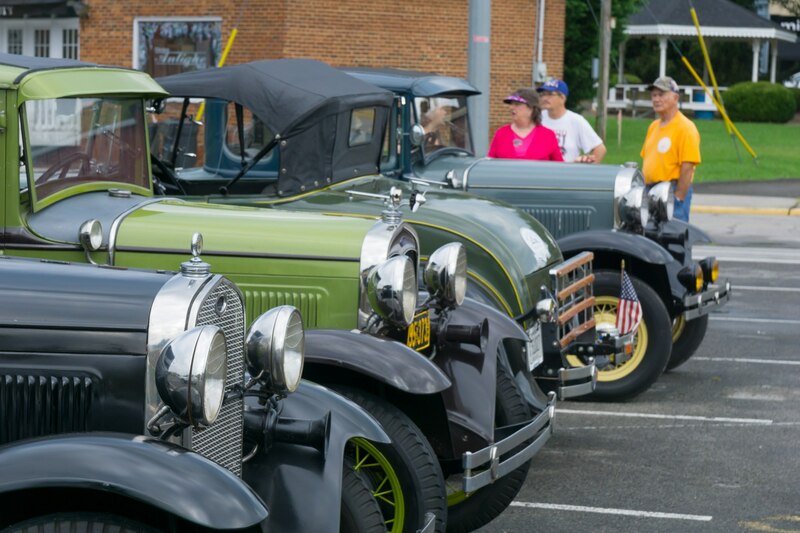 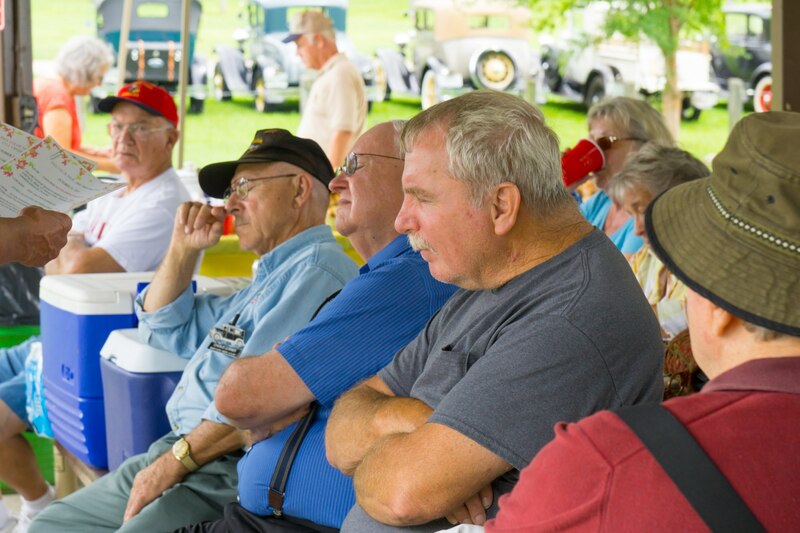 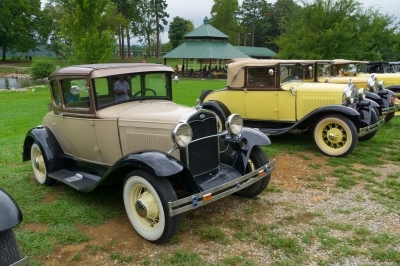 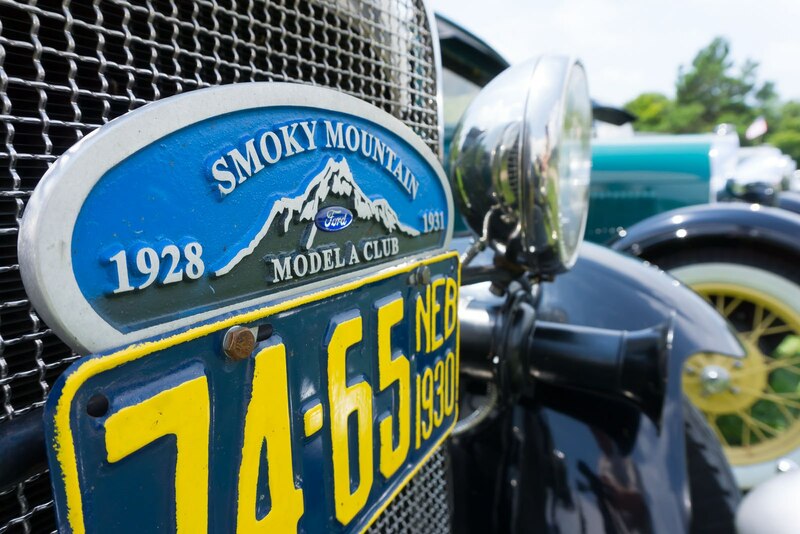 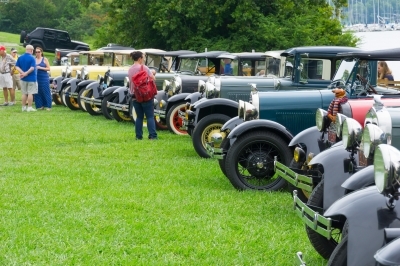 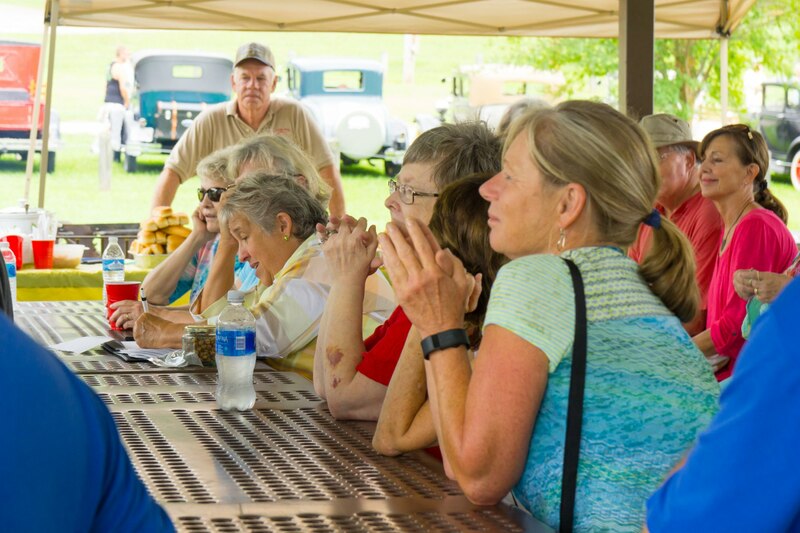 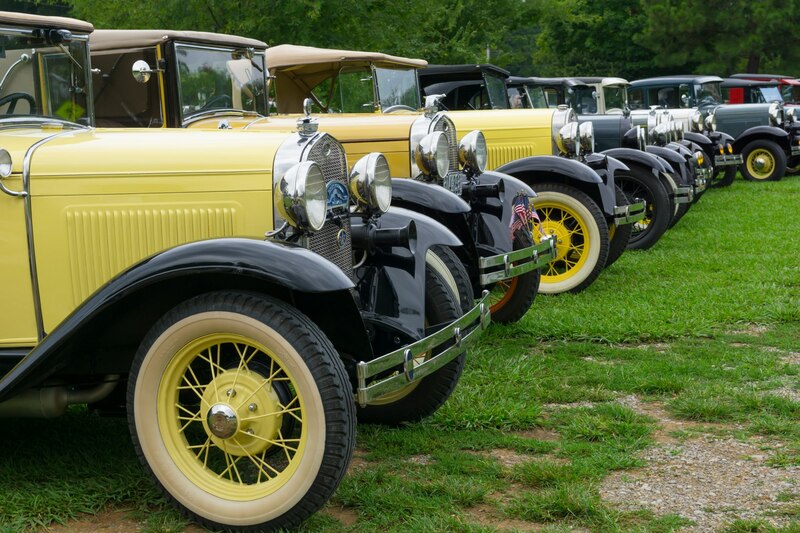 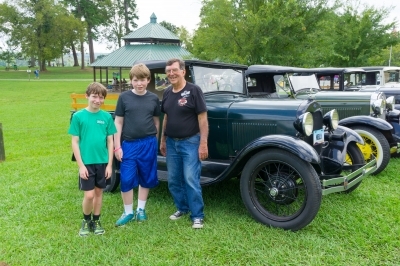 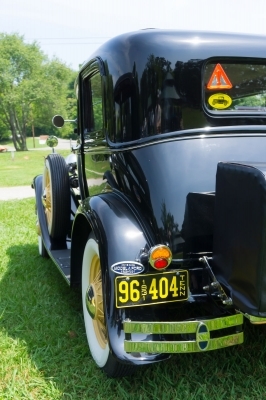 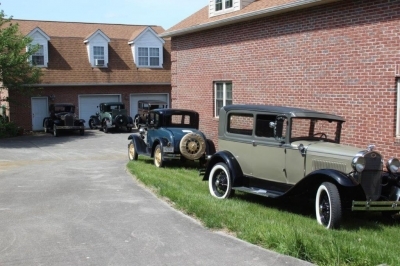 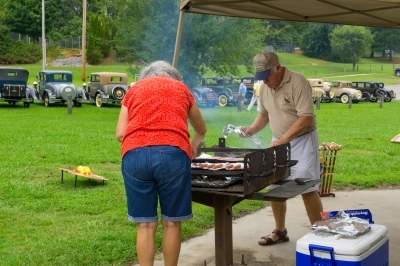 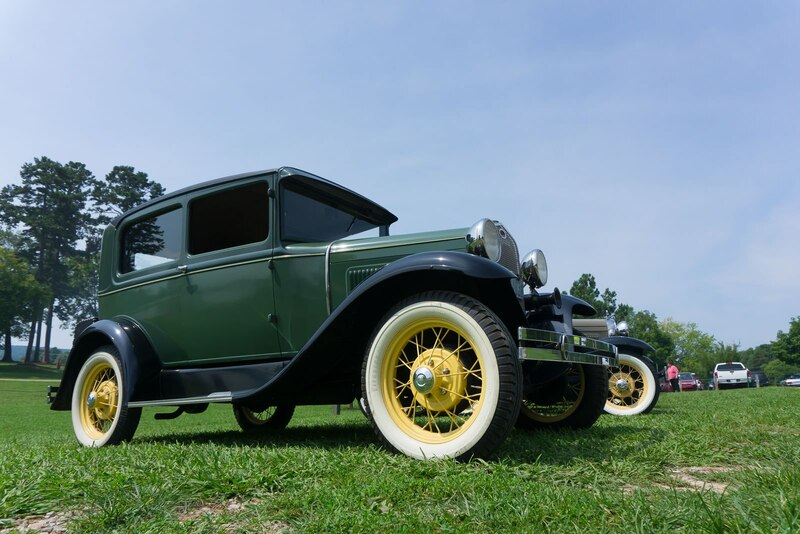 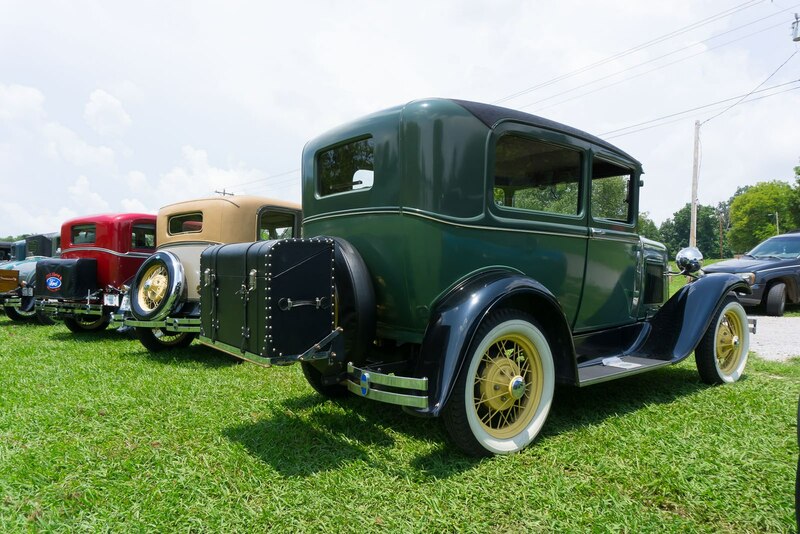 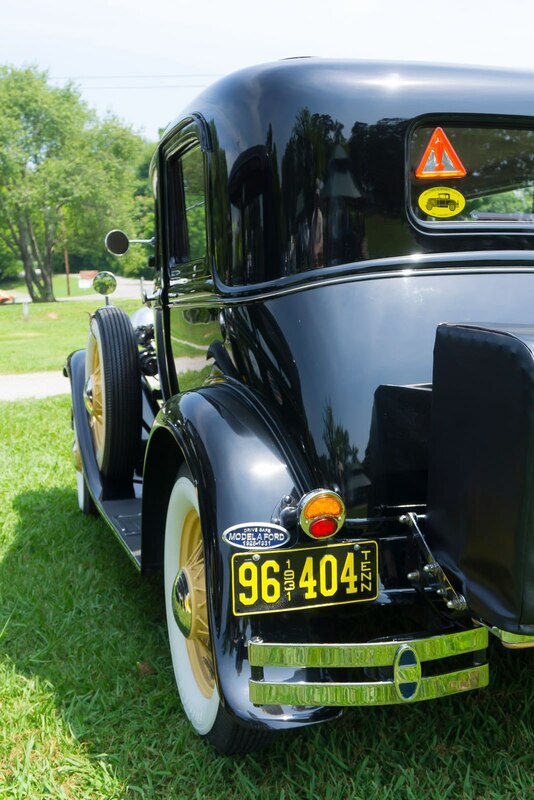 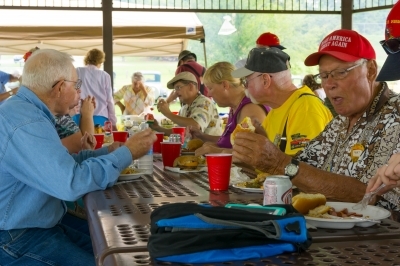 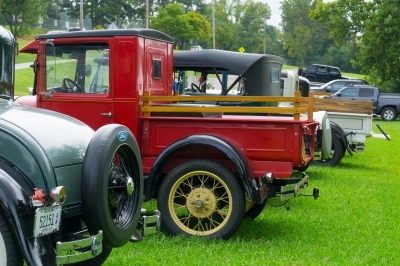 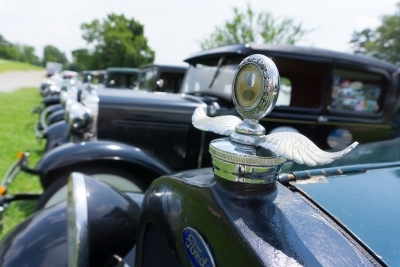 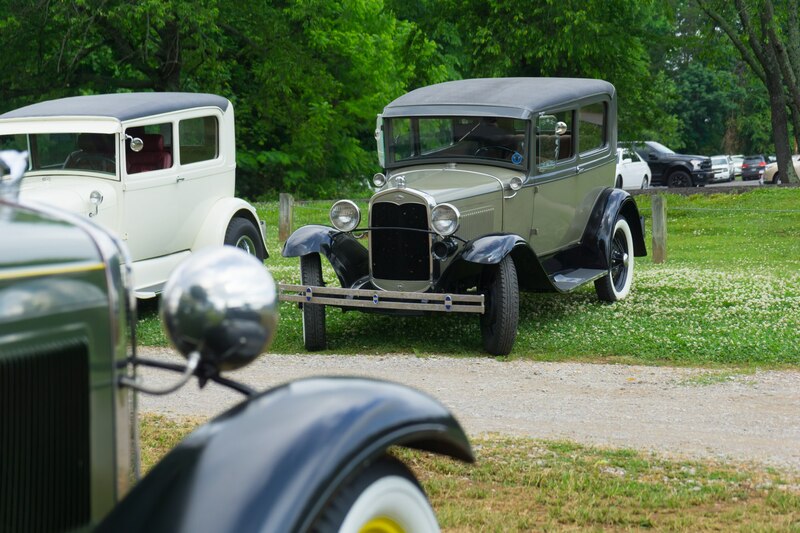 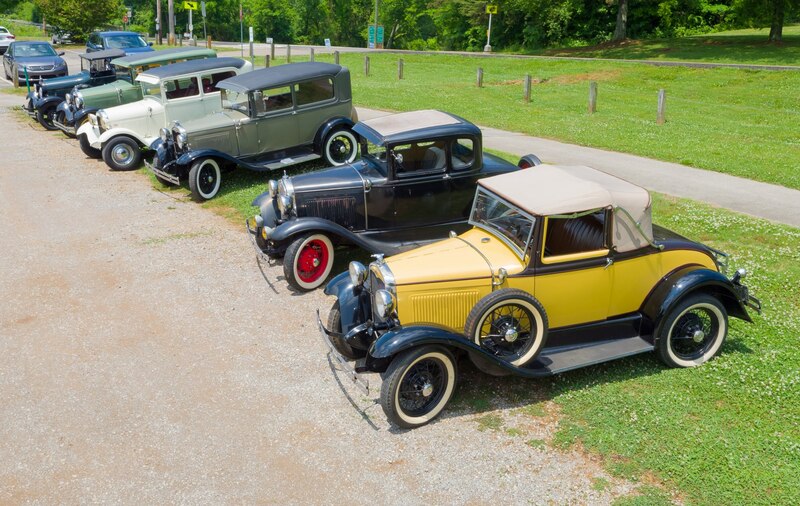 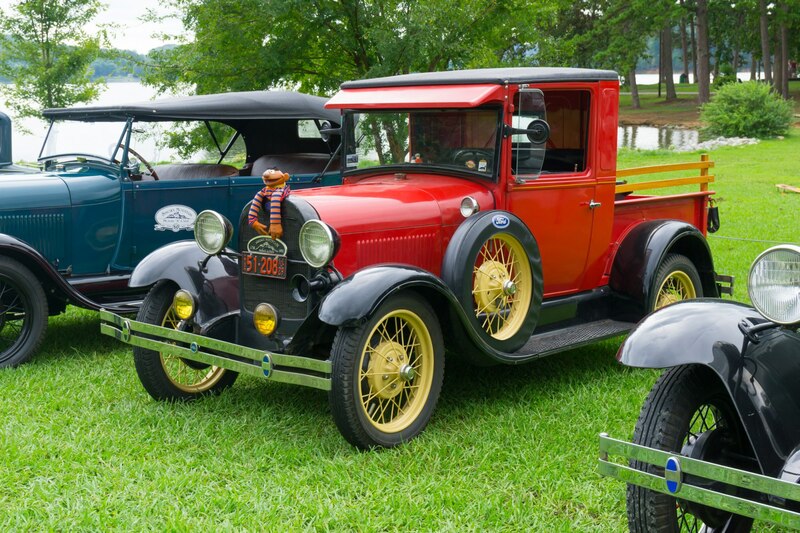 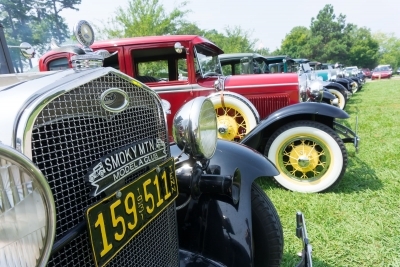 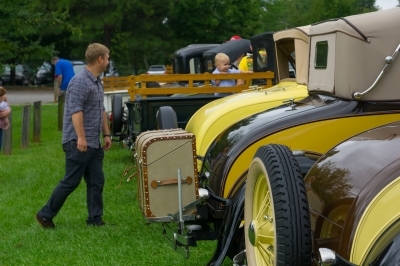 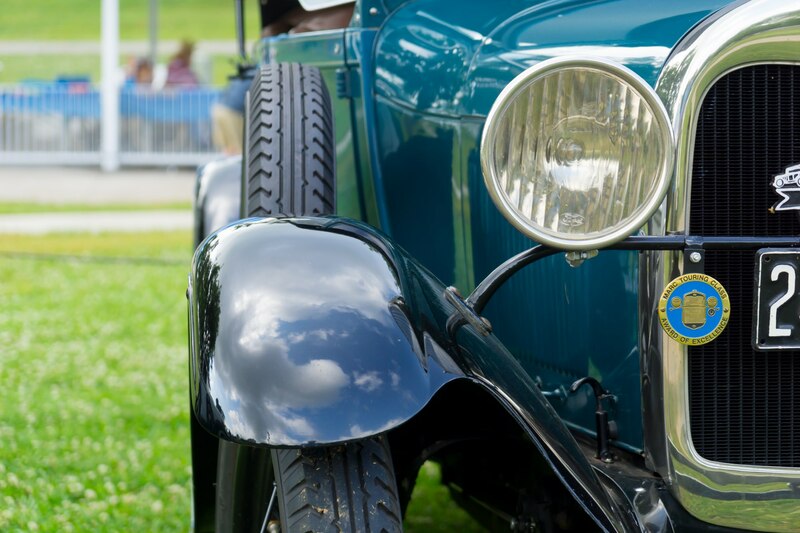 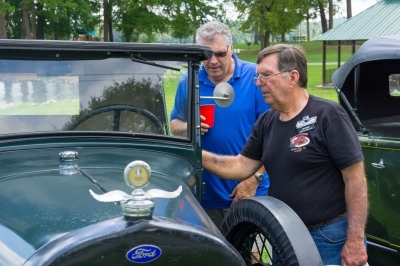 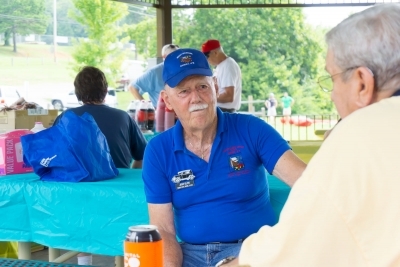 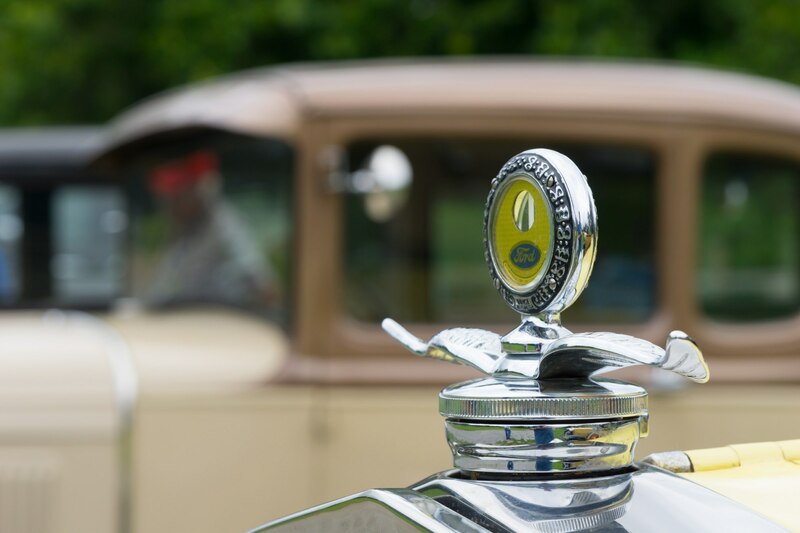 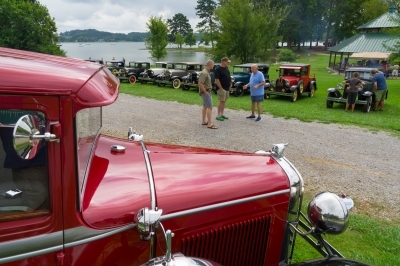 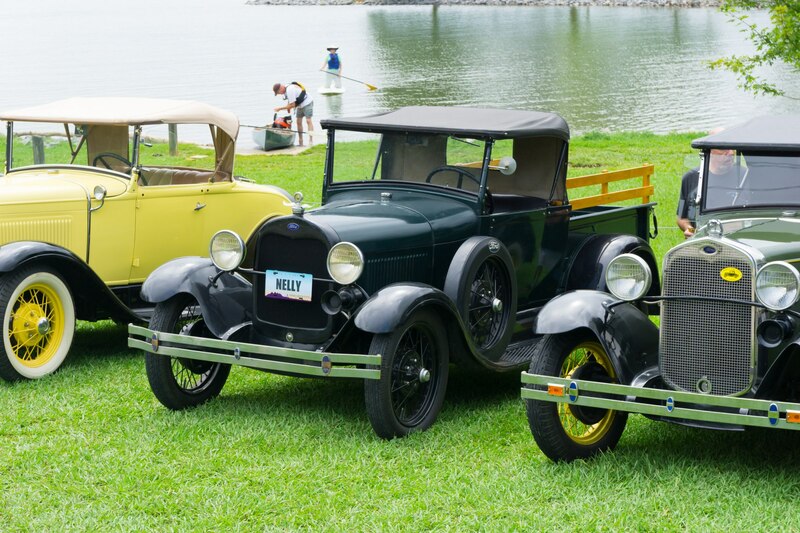 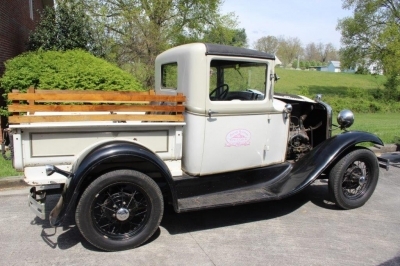 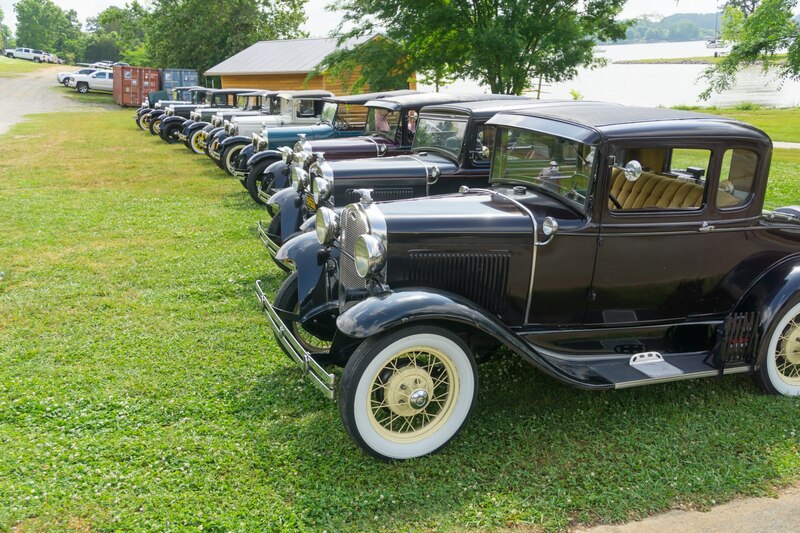 Photos from the Smoky Mountain Model A Club summer picnic held at The Cove. 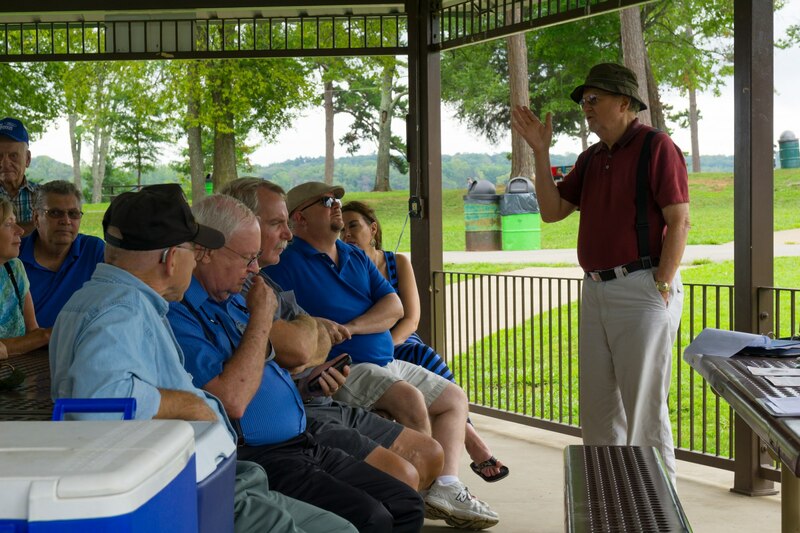 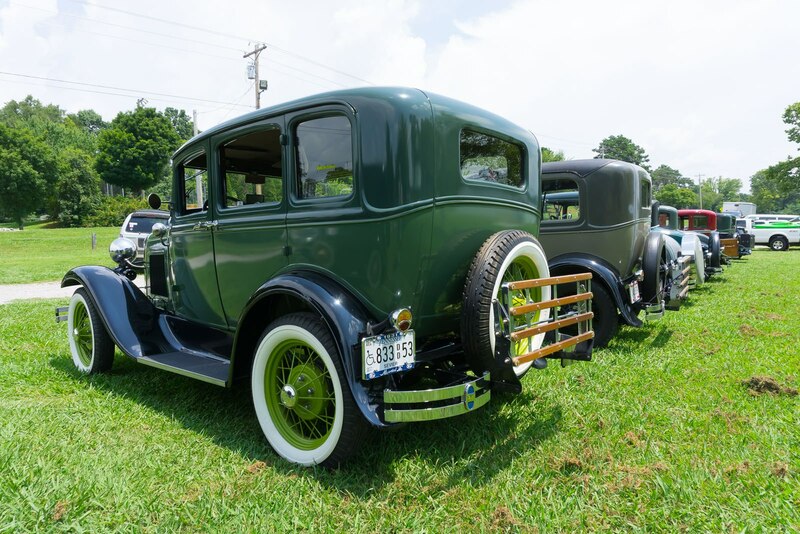 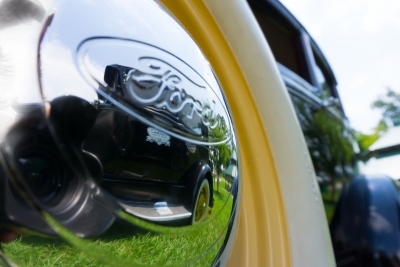 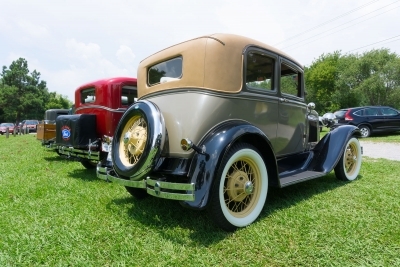 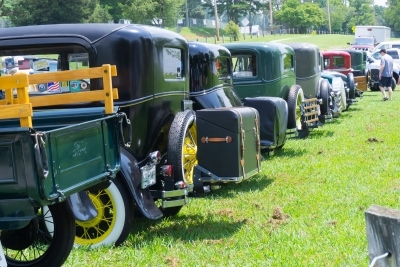 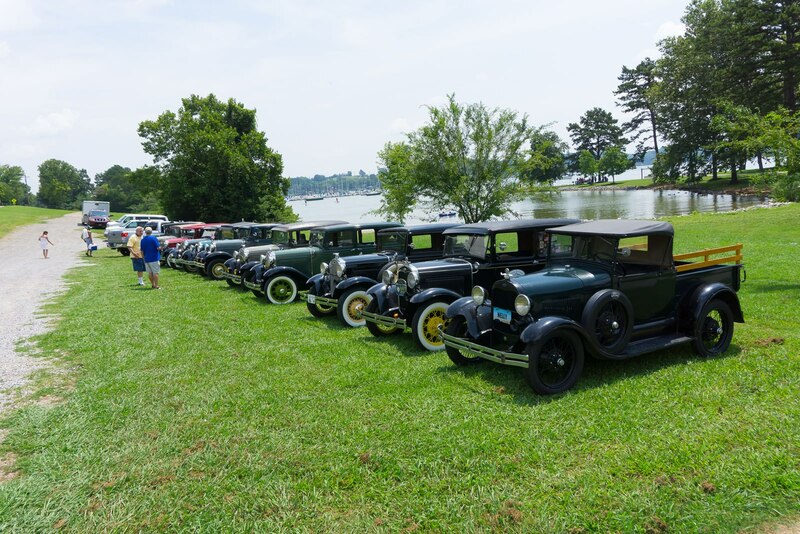 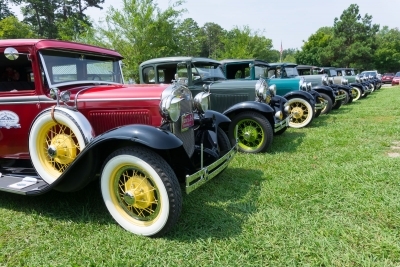 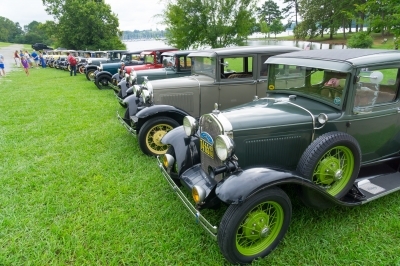 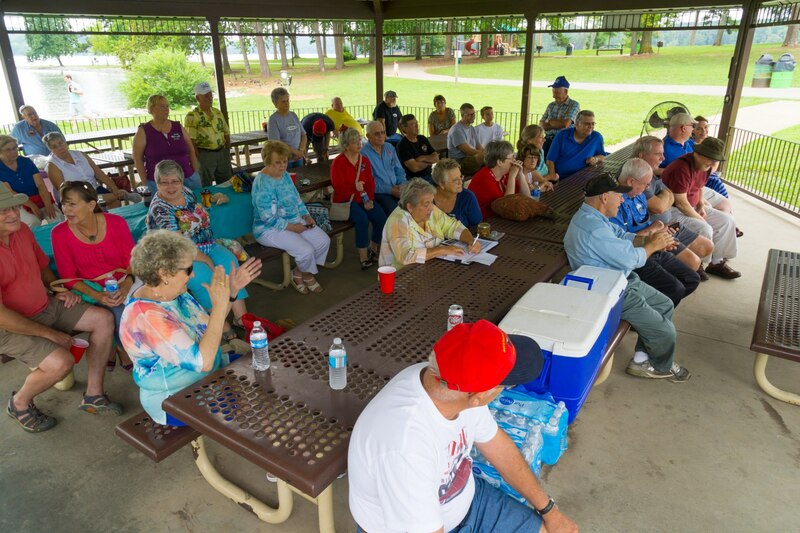 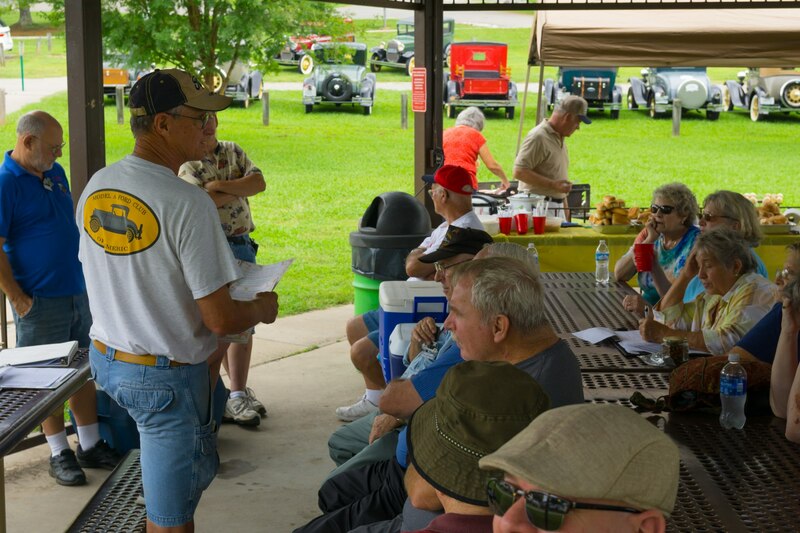 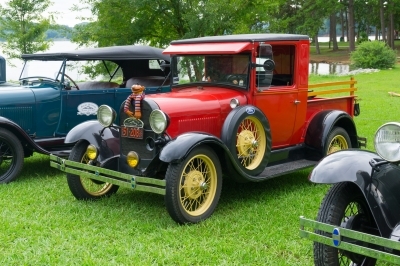 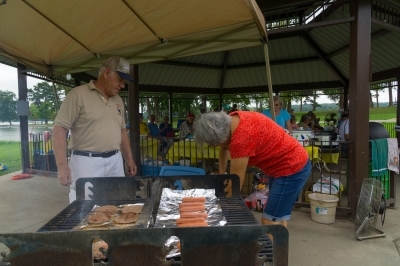 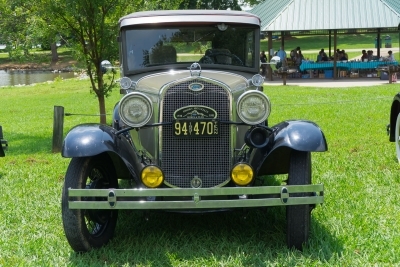 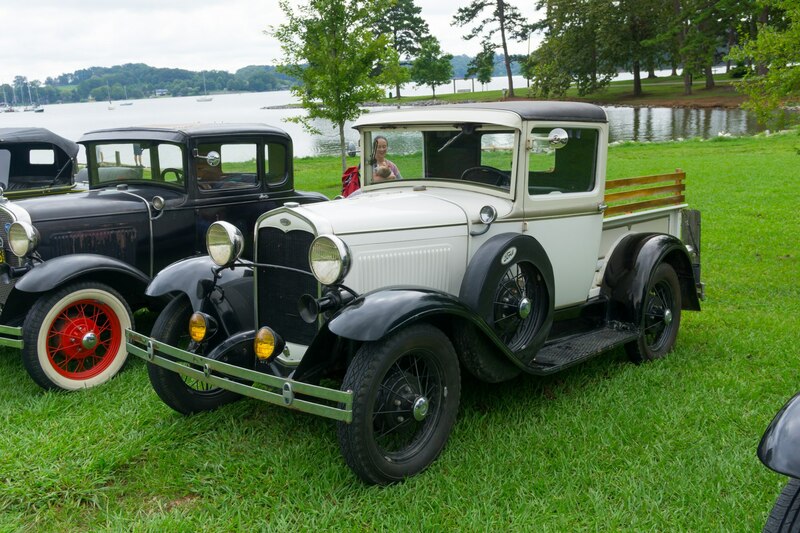 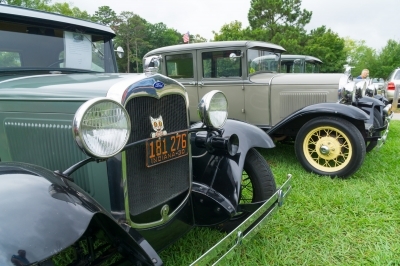 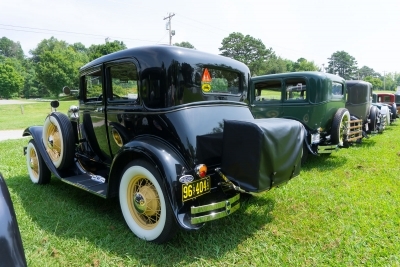 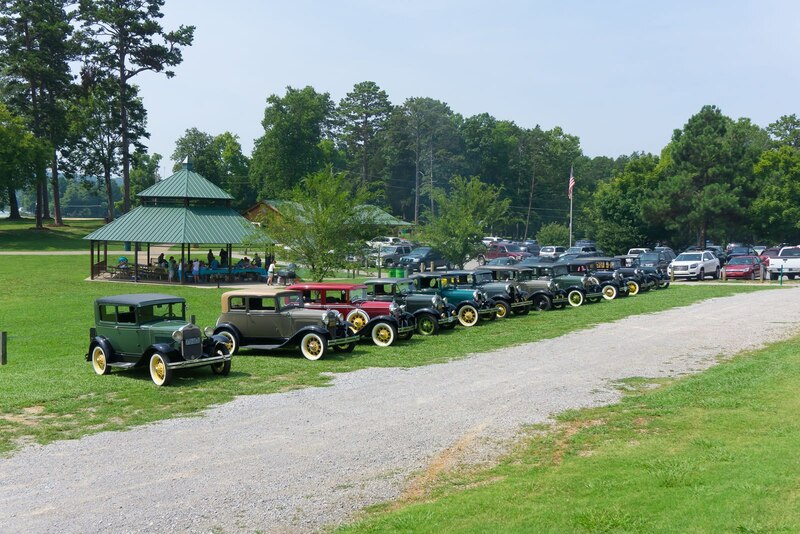 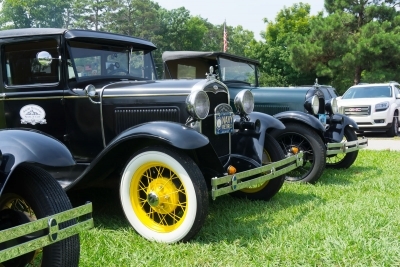 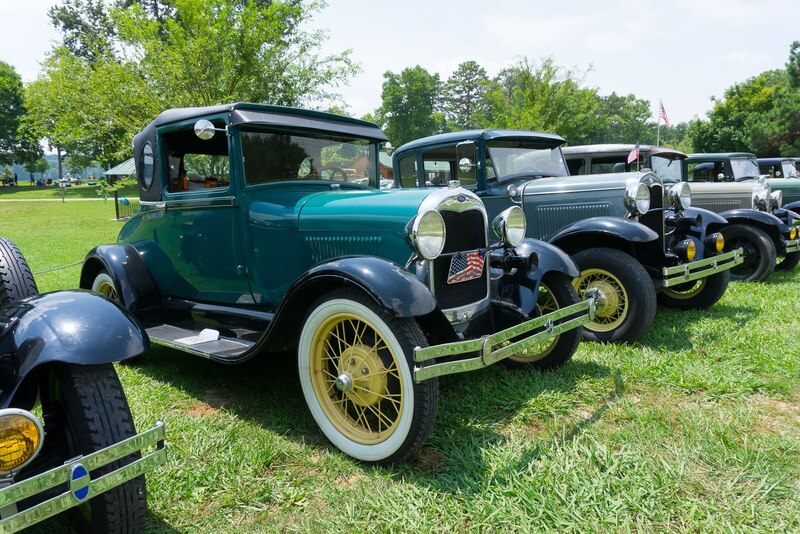 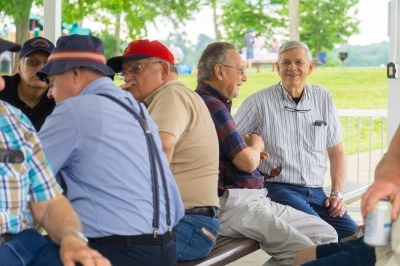 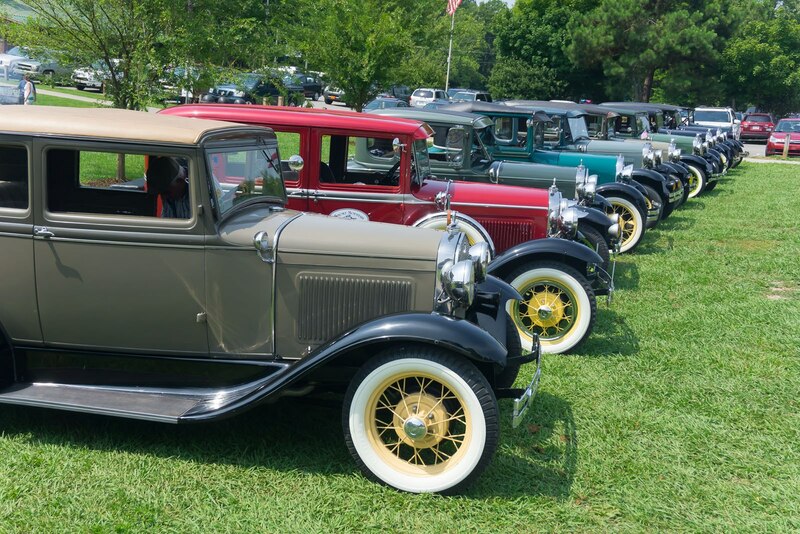 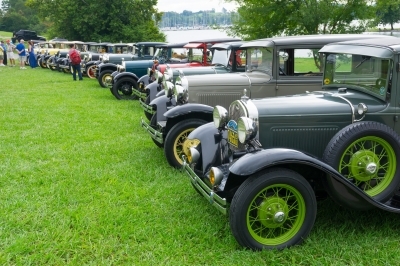 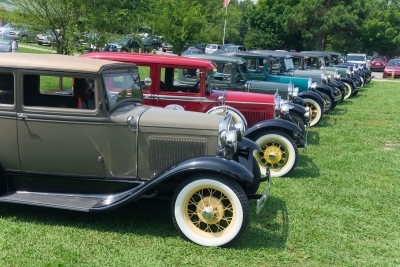 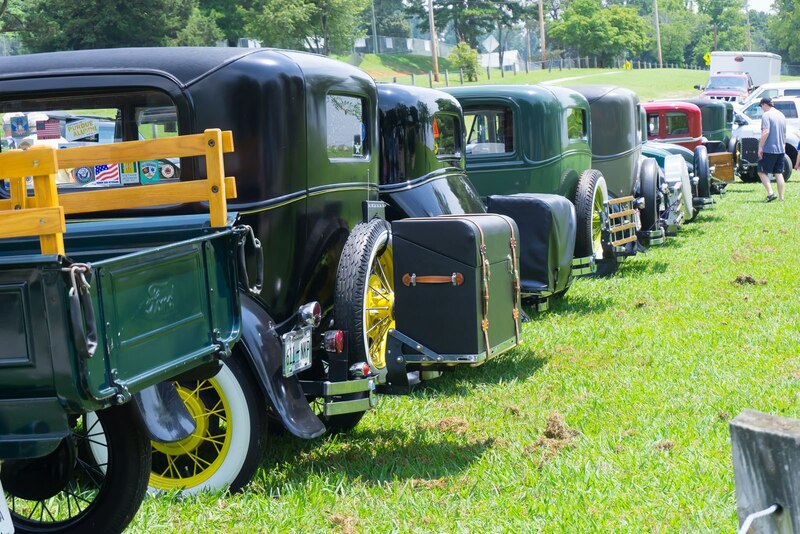 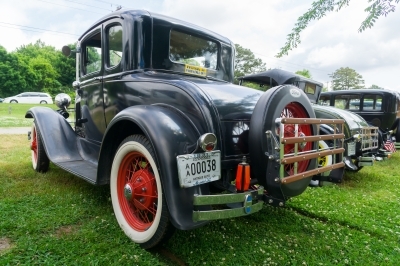 Smoky Mountain Model A Club picnic held at The Cove at Concord Park, Saturday July 18, 2015. 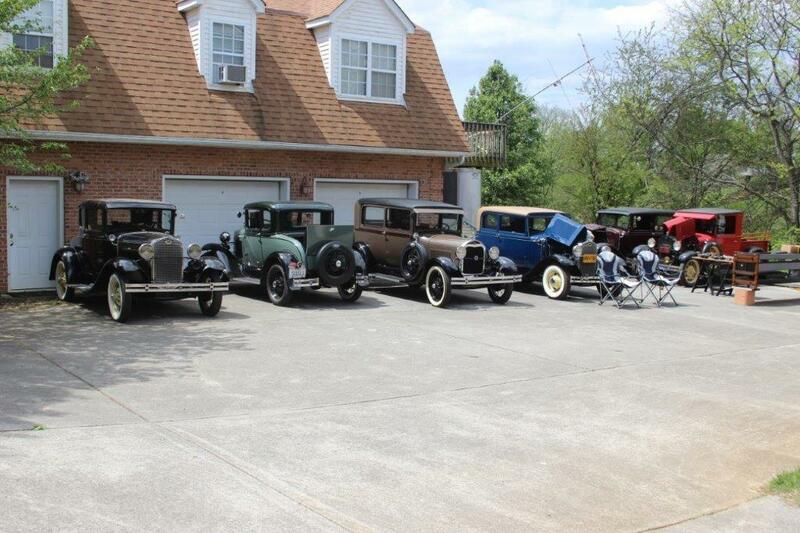 12 cars in attendance overall. 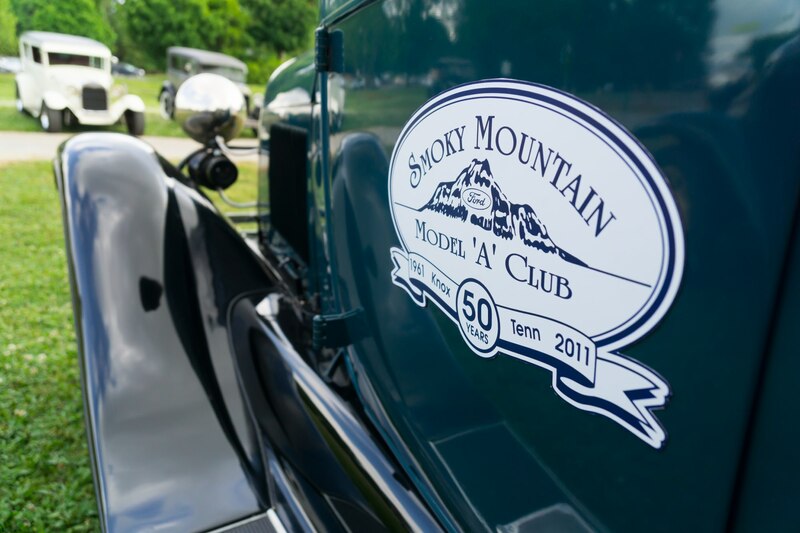 ©	Copyright 2018, Smoky Mountain Model A Club. All rights reserved.